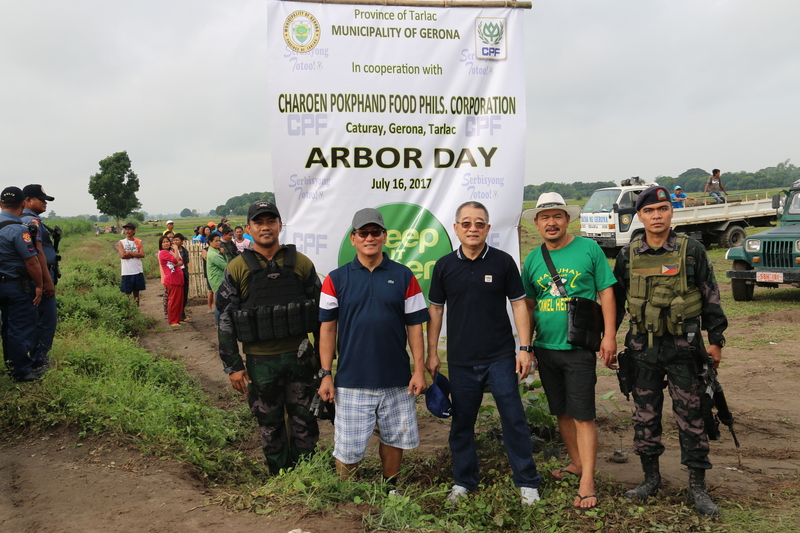 In coordination with the Local Government Unit, we participate to support Arbor Day last July 16, 2017 in adjacent barangay near feedmill which is considered as “Gawad Kalinga” site of the local municipality. 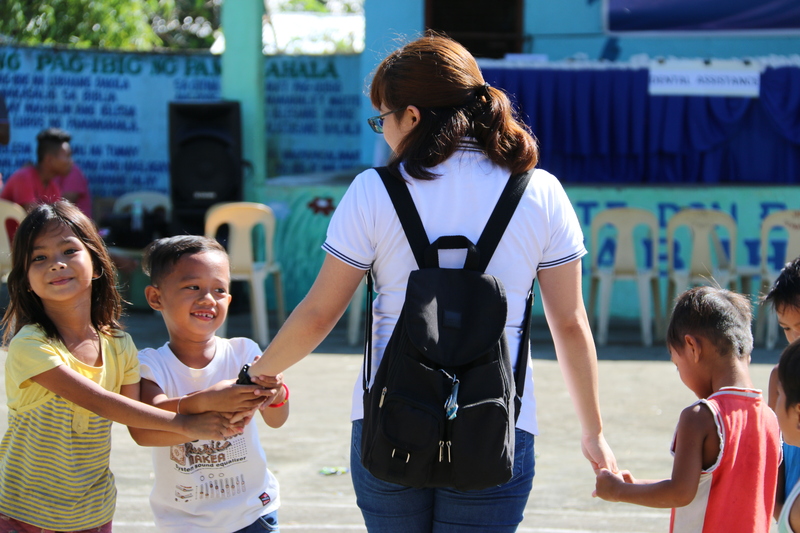 “Gawad Kalinga” is a Philippine-based movement that aims to end poverty by first restoring the dignity of the poor. 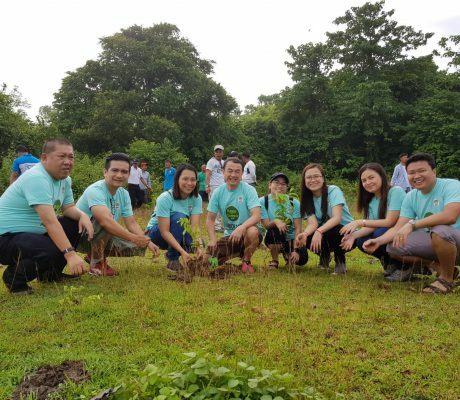 CPF planted total of 600 plant seedlings to 25,762 sqm of land that will benefit the poor residents of the developing site free-housing program. 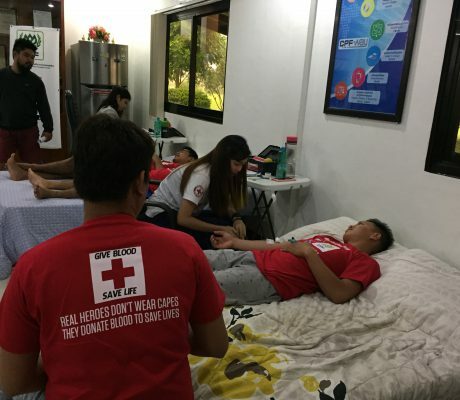 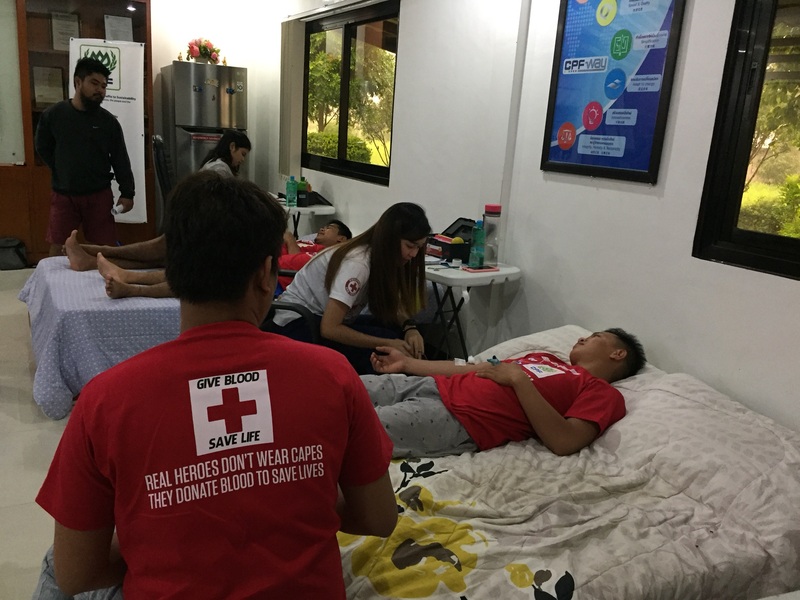 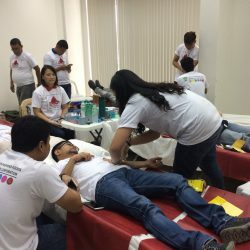 1st Blood Donation Activity in coordination with Philippine Red Cross last August 26, 2017. 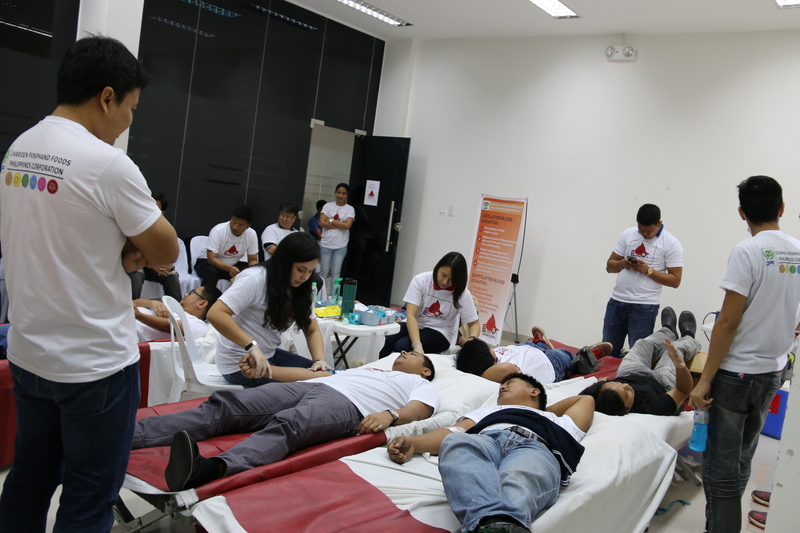 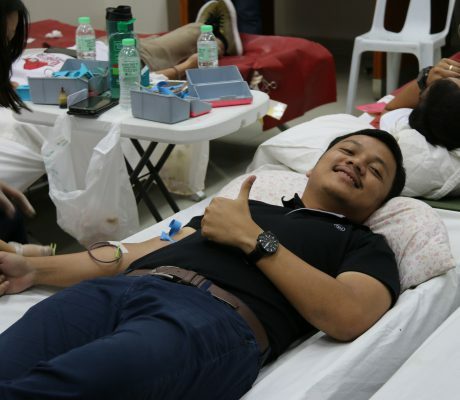 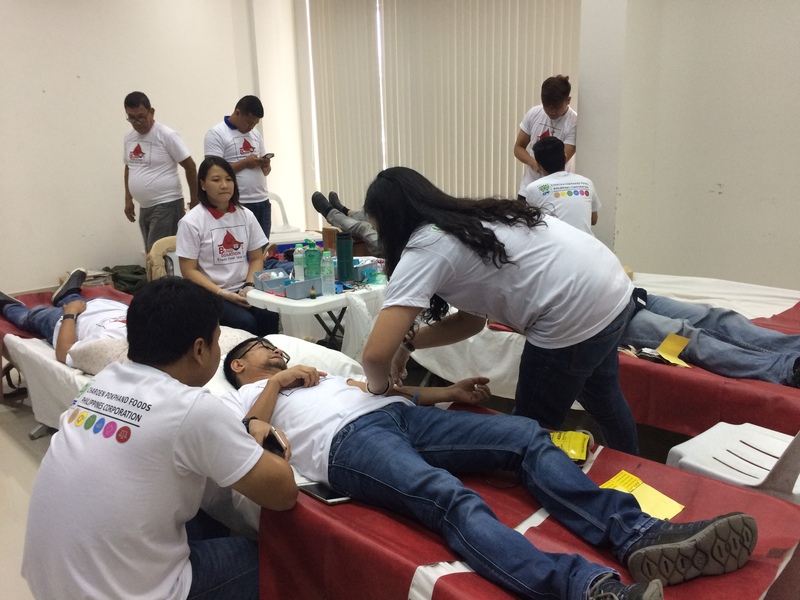 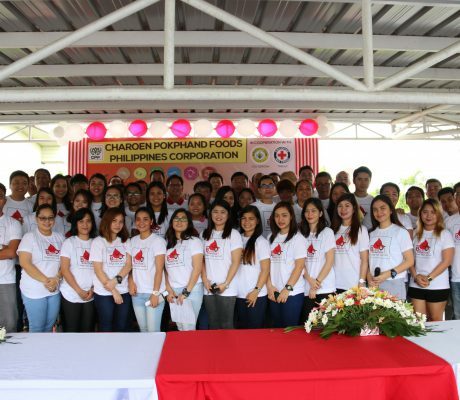 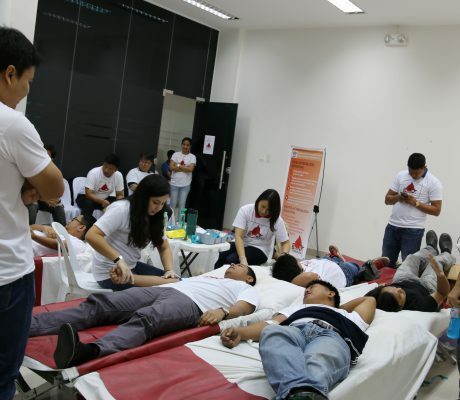 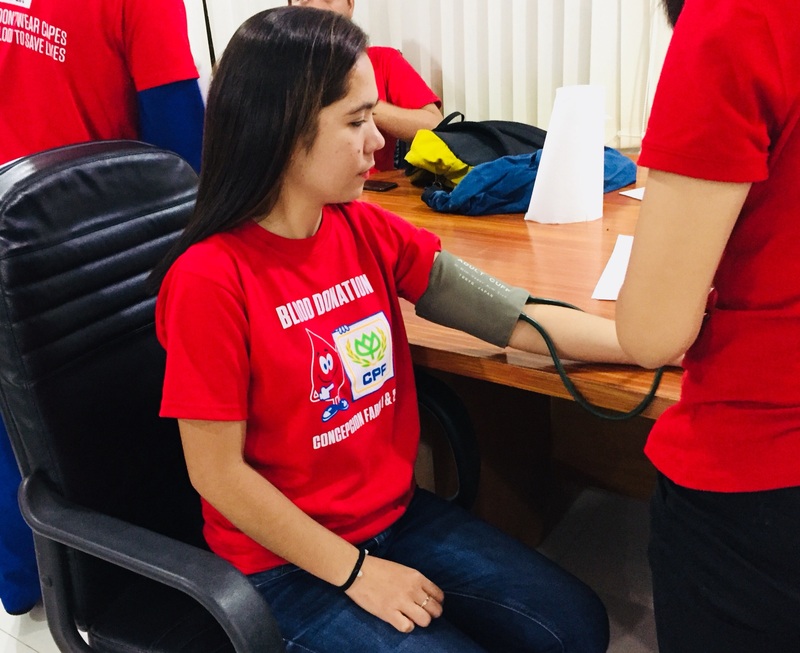 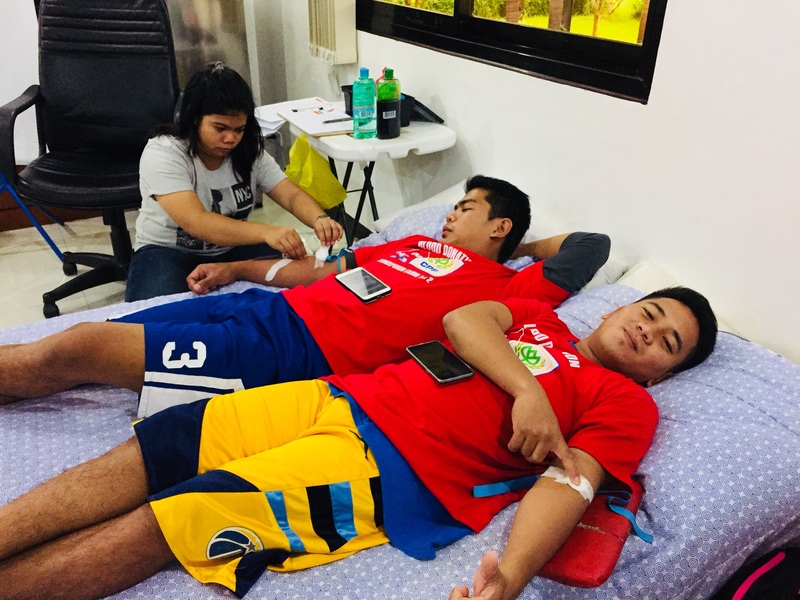 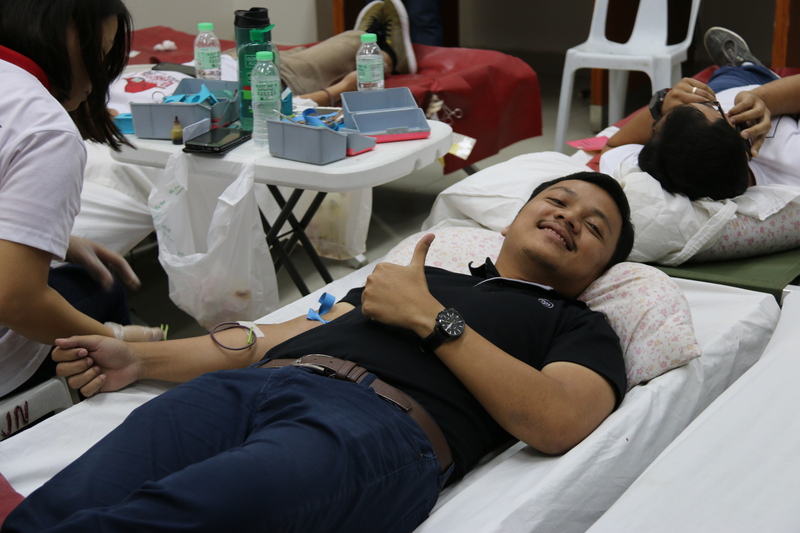 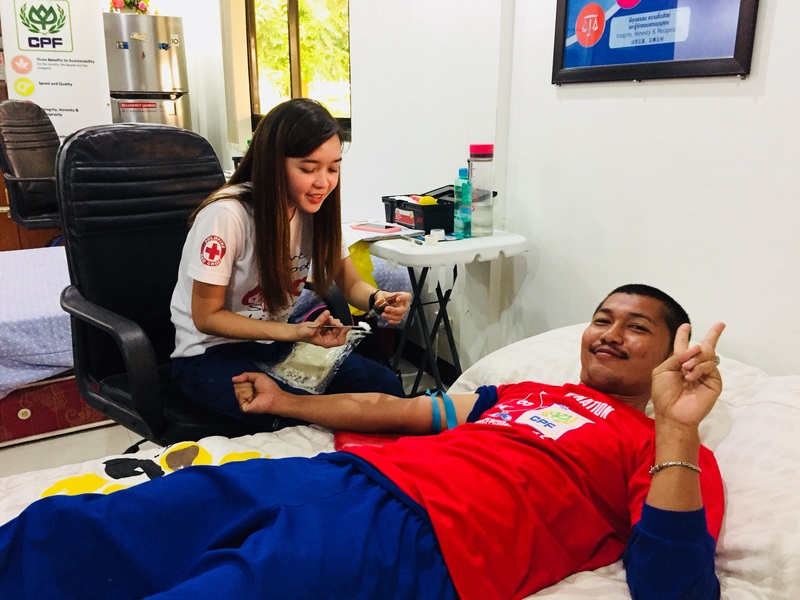 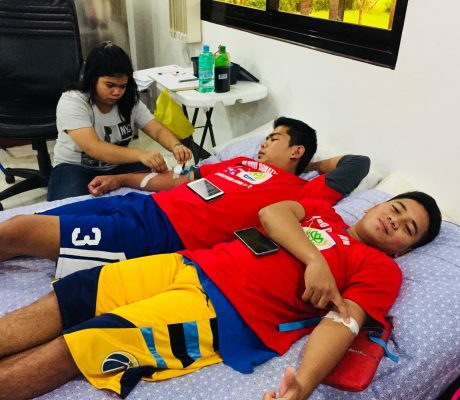 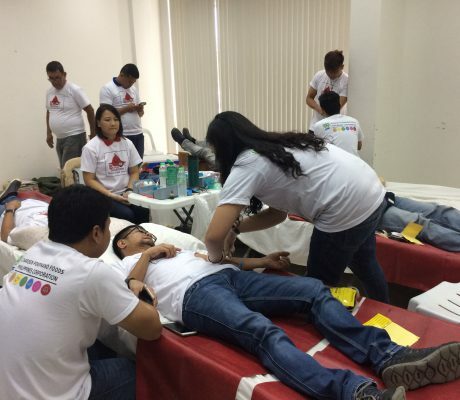 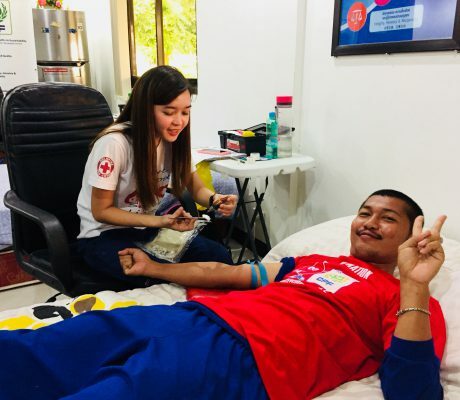 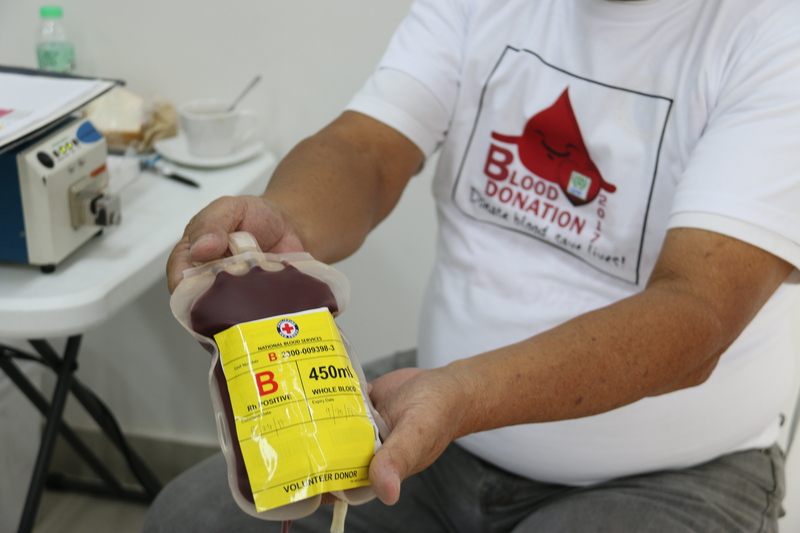 Through this activity, we were able to raise awareness of the objective and benefits of donating blood participated by 117 employees held in CPF Tarlac Feedmill. 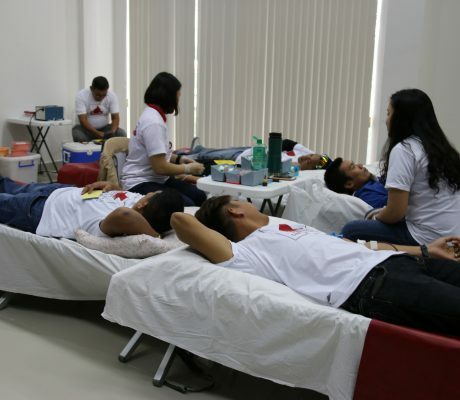 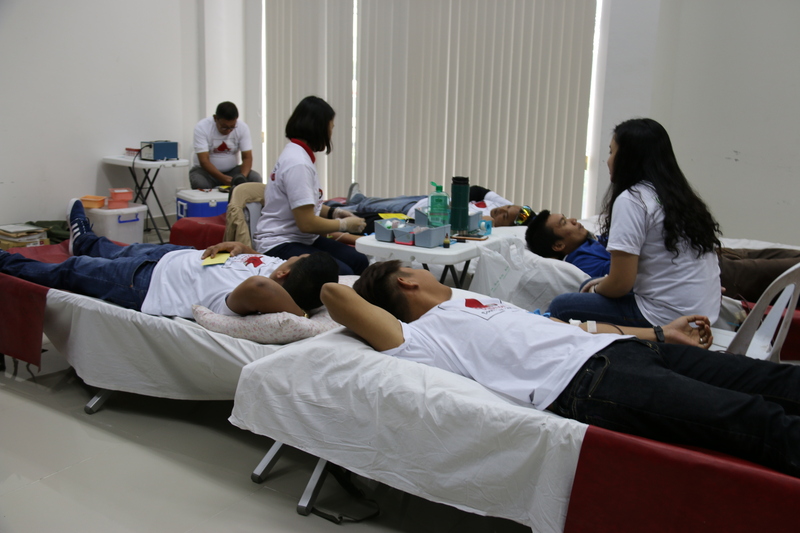 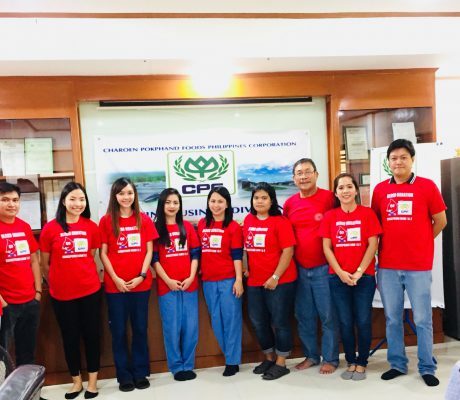 CPF was able to collect 53 bags of blood to Philippine Red Cross given to endorsed patient that needs blood assistance. 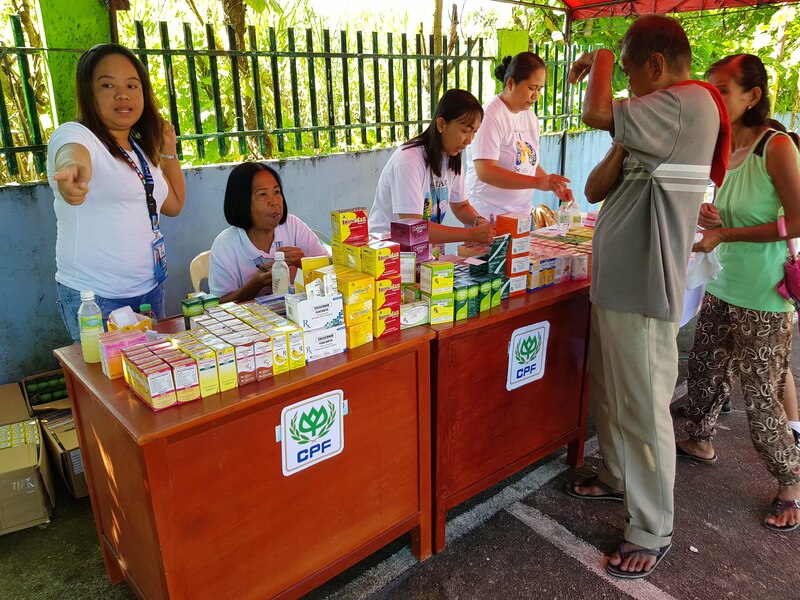 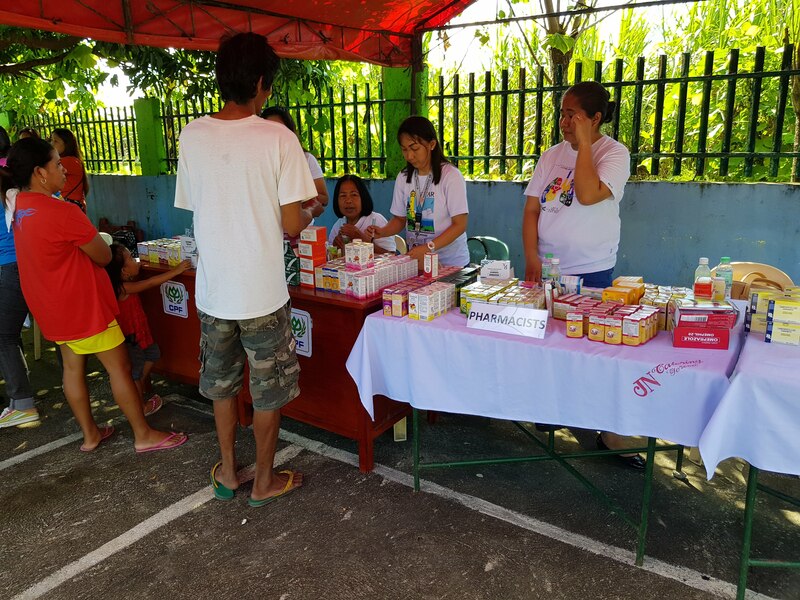 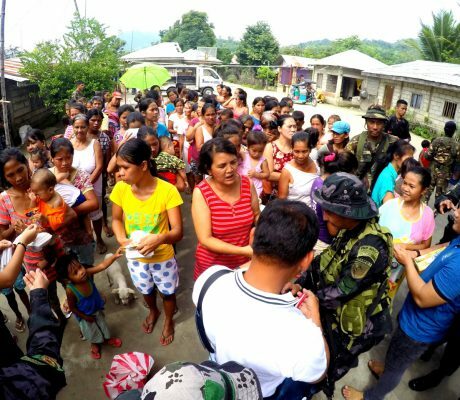 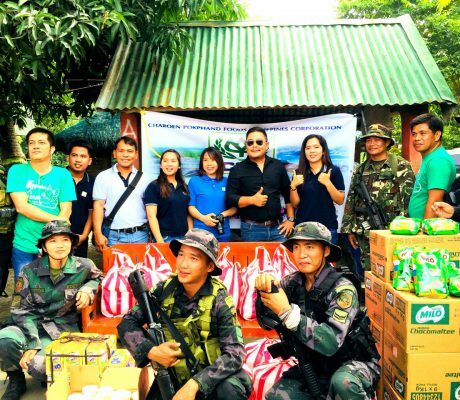 In partnership with the Local Government Unit providing the manpower such as the Doctors, Dentists and Health Workers, CPF donated medicines for the Medical and Dental Mission held in adjacent barangay near Tarlac Feedmill that needs medical and dental assistance last October 18, 2017. 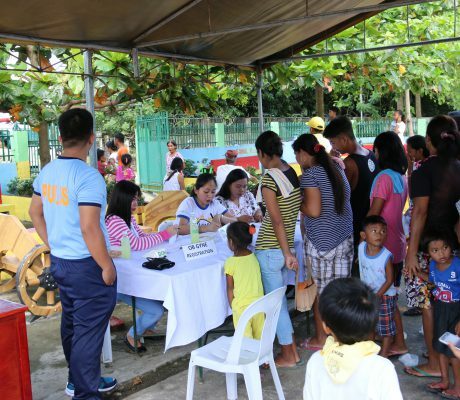 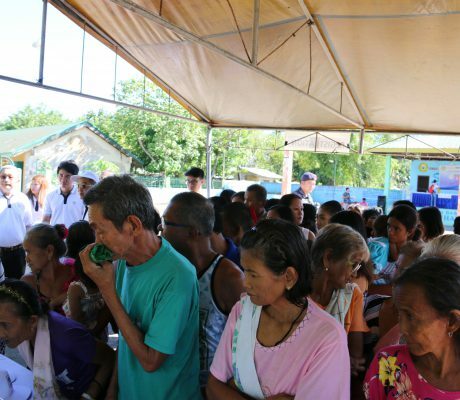 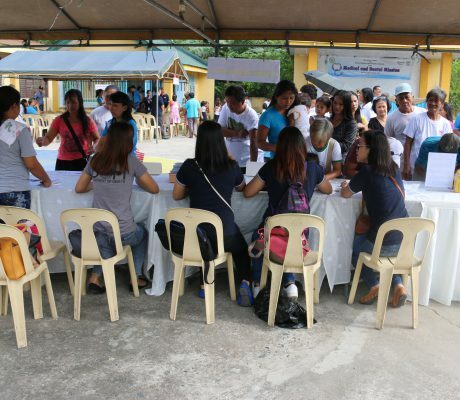 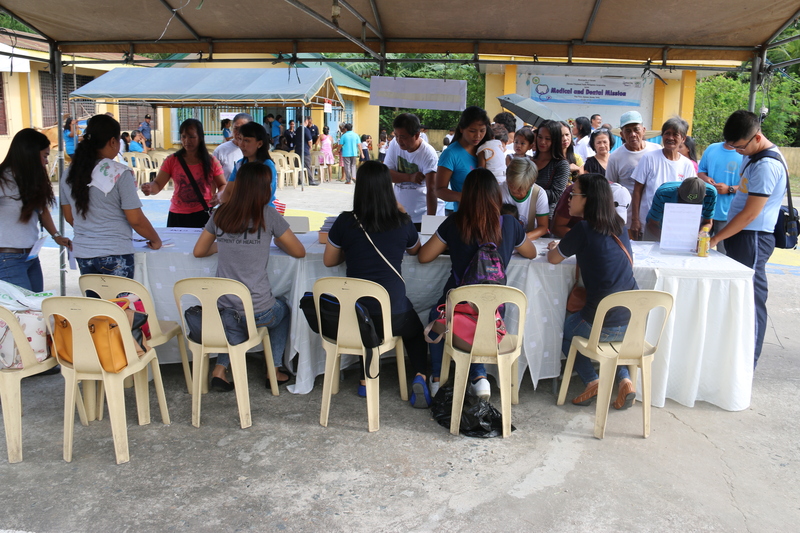 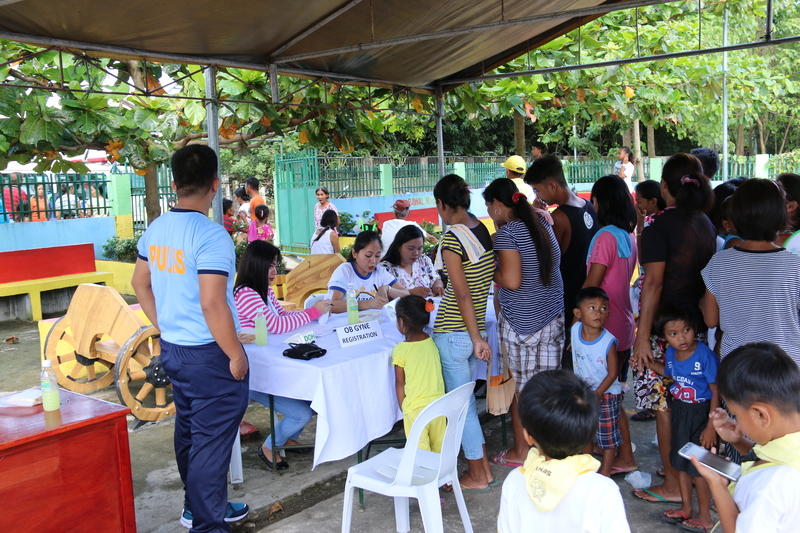 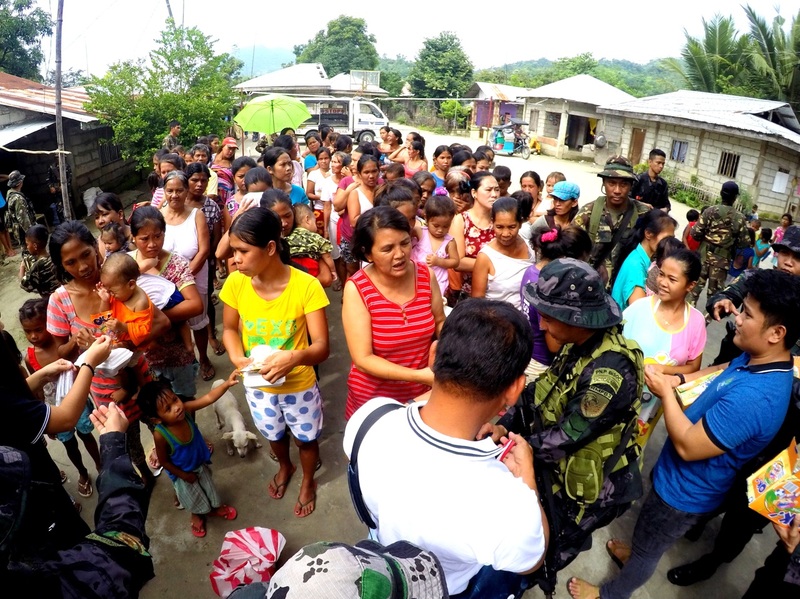 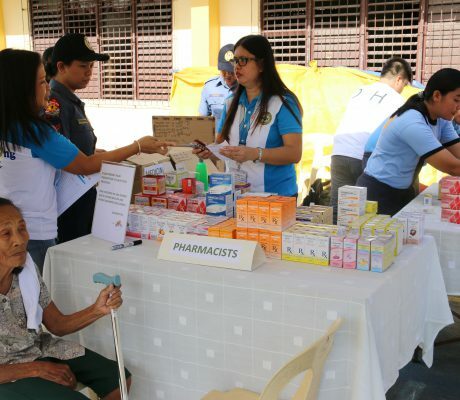 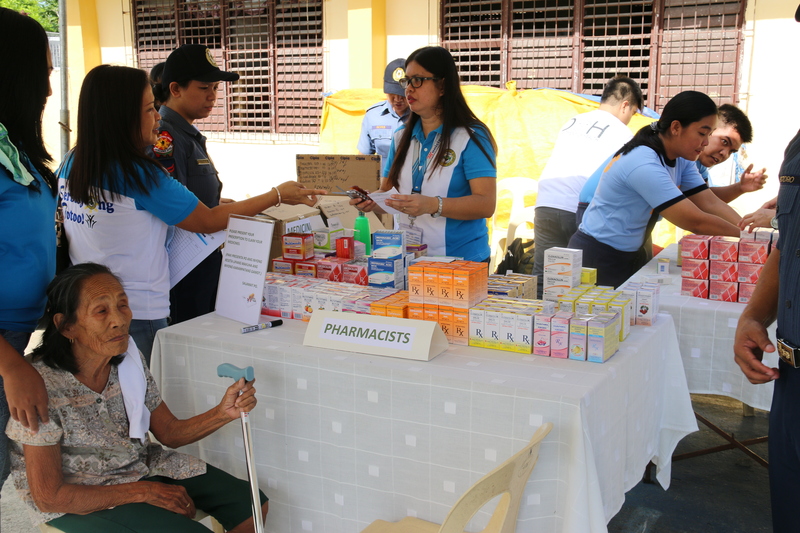 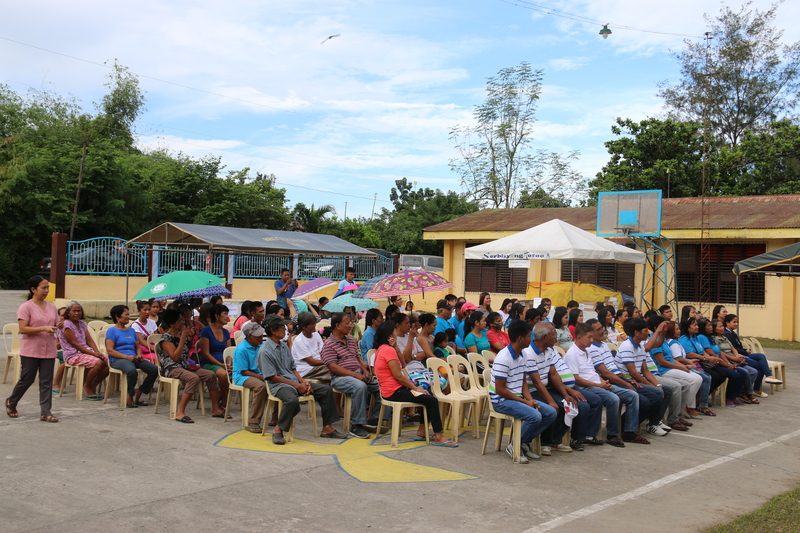 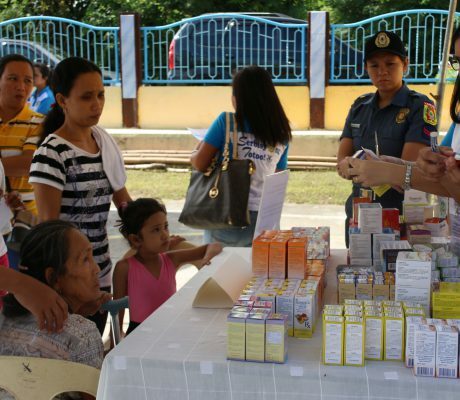 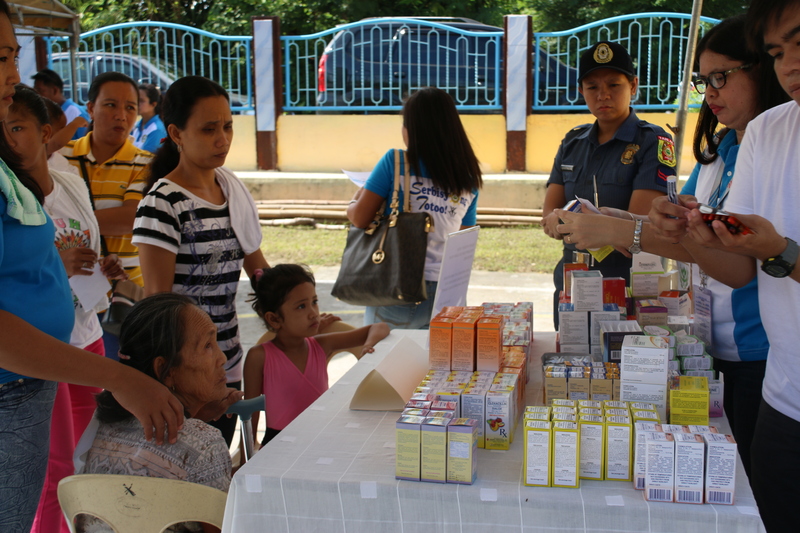 CPF was able to provide free medicines total of 362 residents of Brgy. 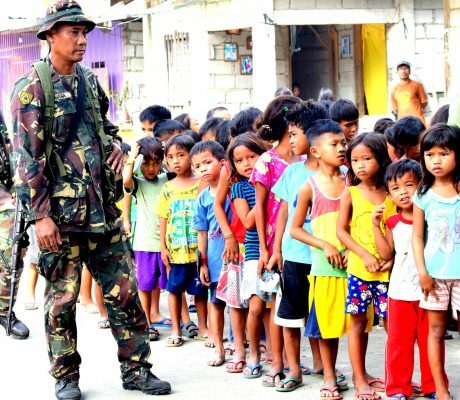 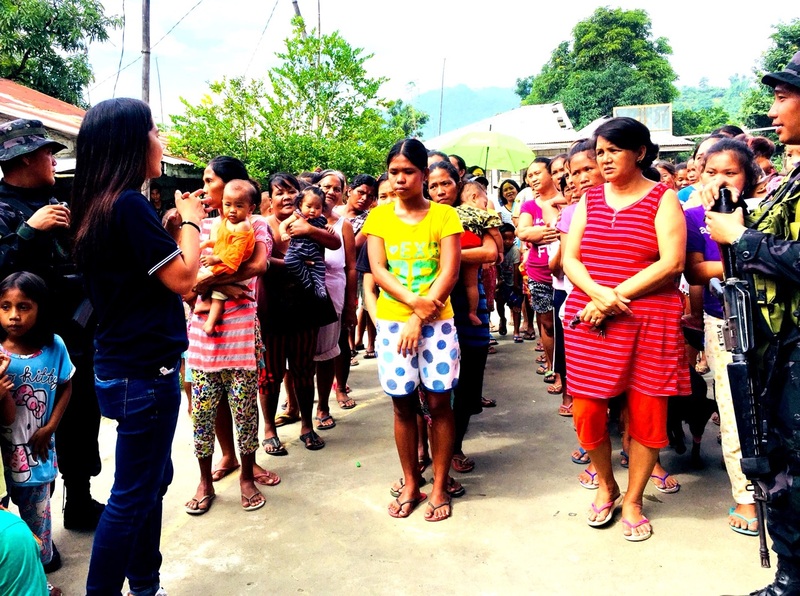 Apsayan, Gerona, Tarlac which is listed as one of the poorest community . 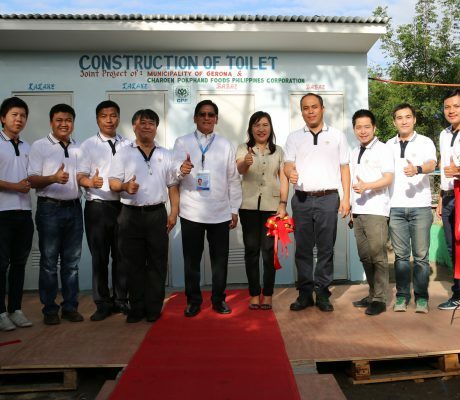 As endorsed requested assistance by the local municipality headed by Engr. 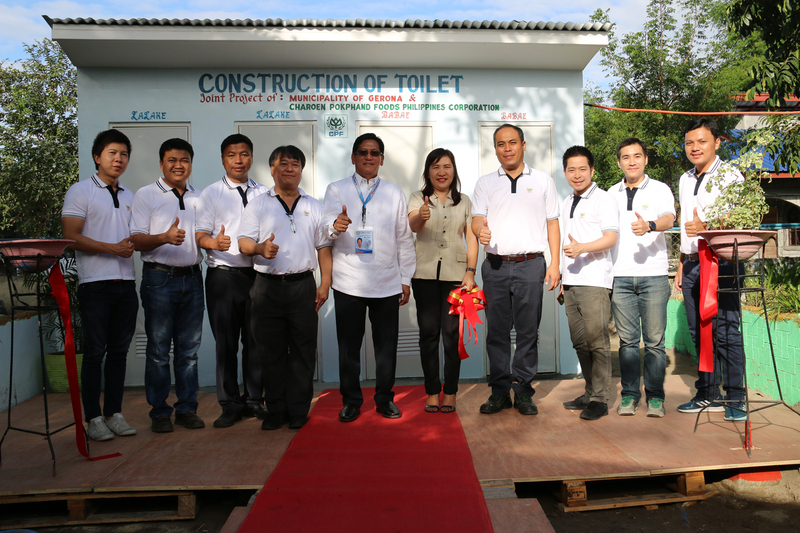 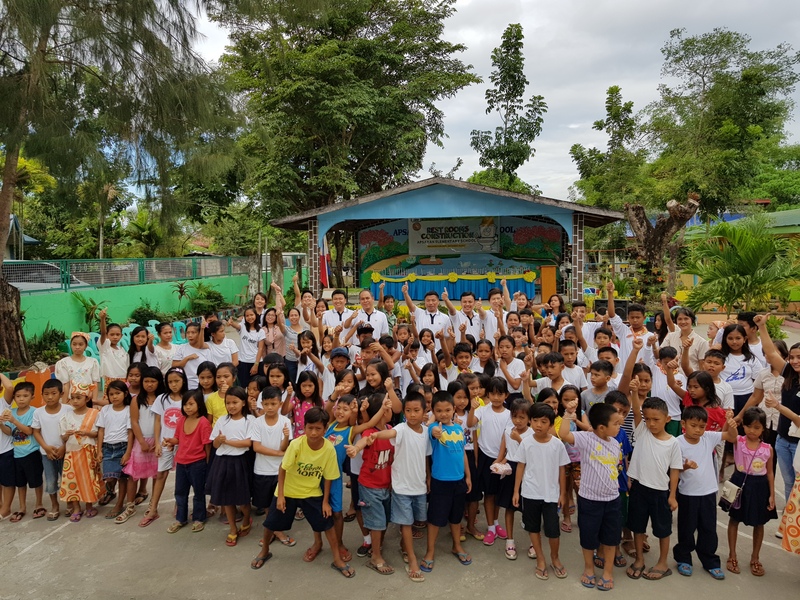 Eloy C. Eclar, CPF constructed four toilet rooms for Apsayan Elementary School to benefit its pupils providing hygienic toilet as one of the arising problem of the said school. 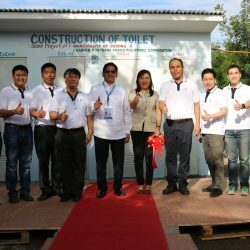 CPF constructed toilet building consists of additional four toilet rooms to benefit 225 pupils of Apsayan Elementary School. 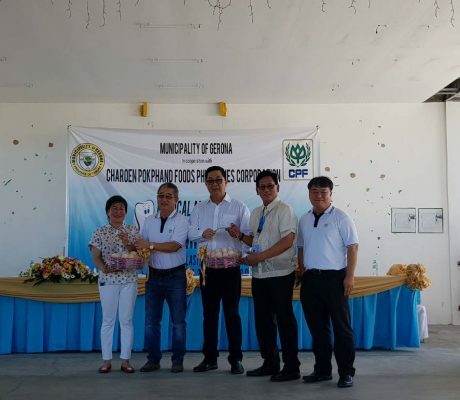 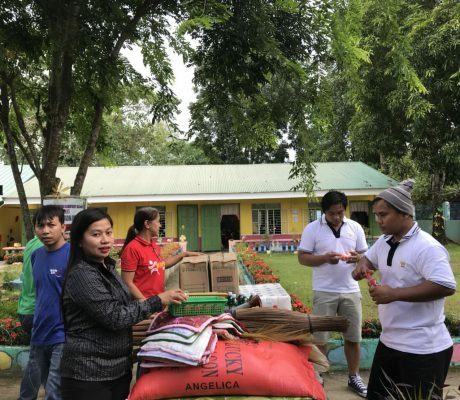 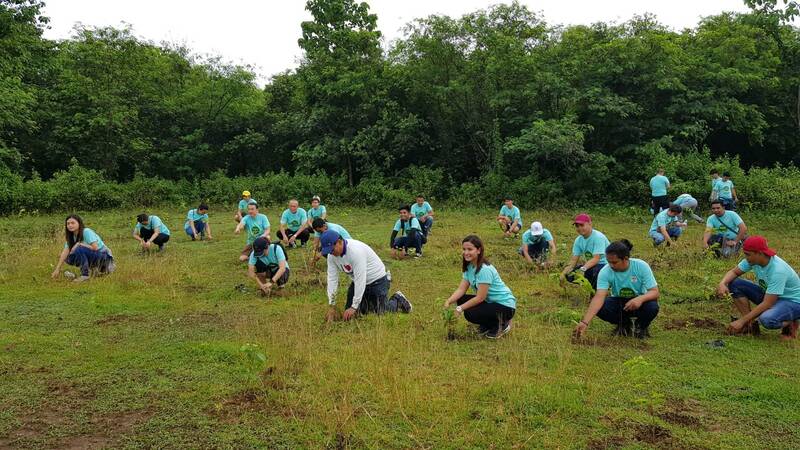 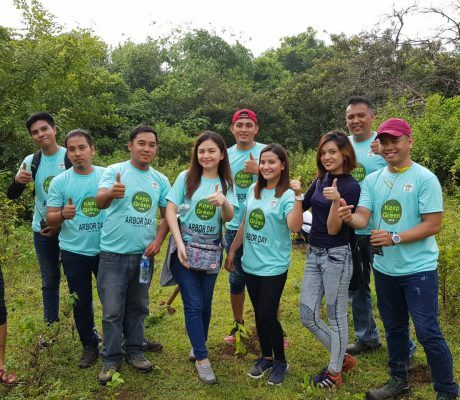 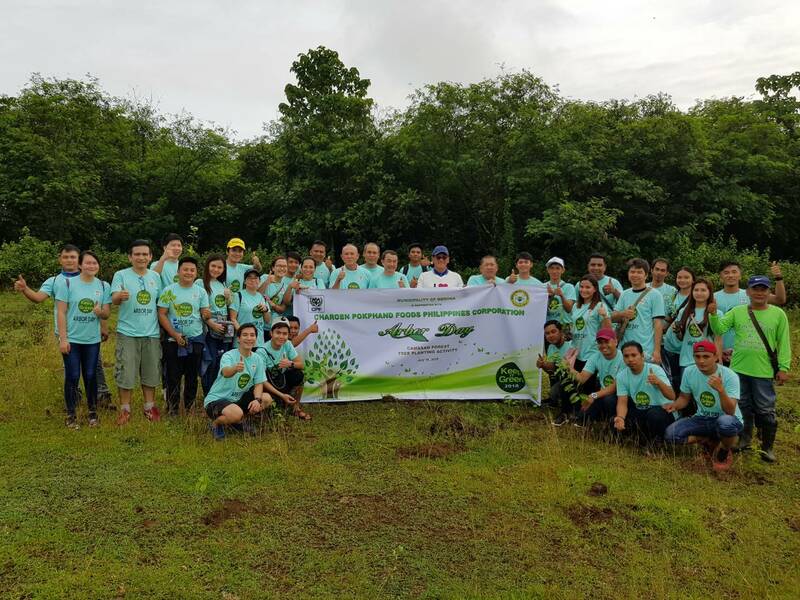 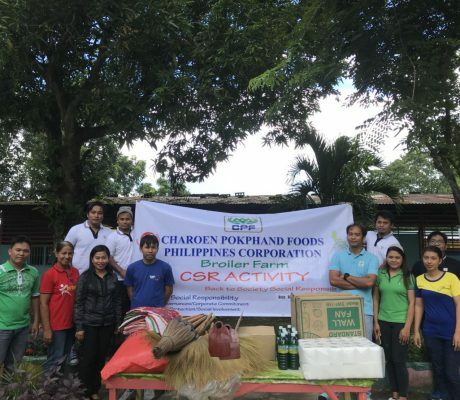 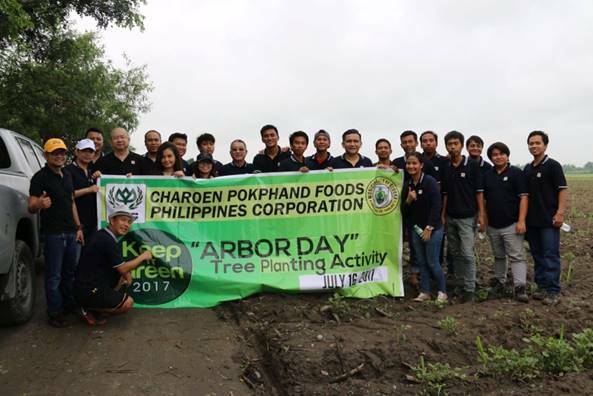 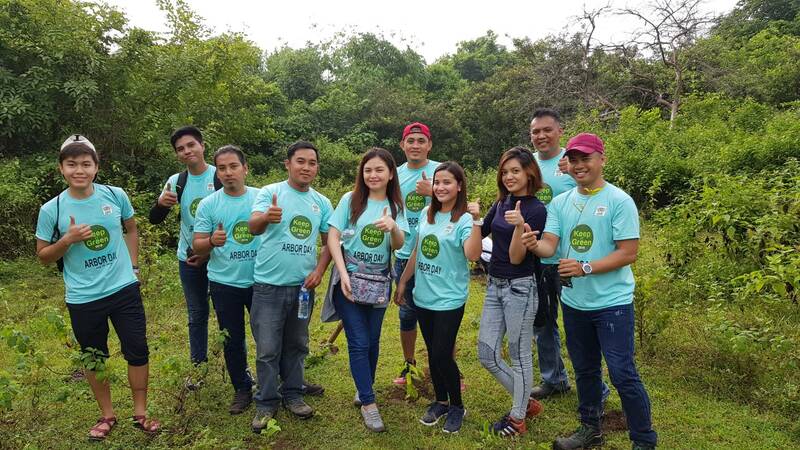 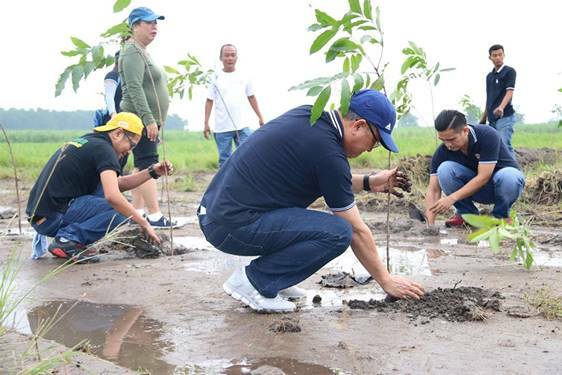 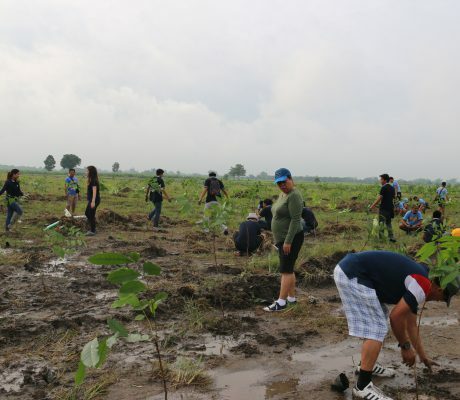 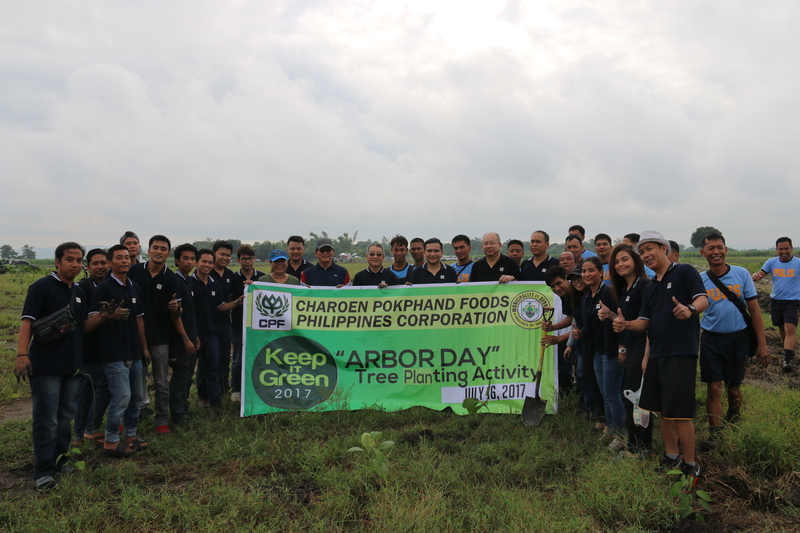 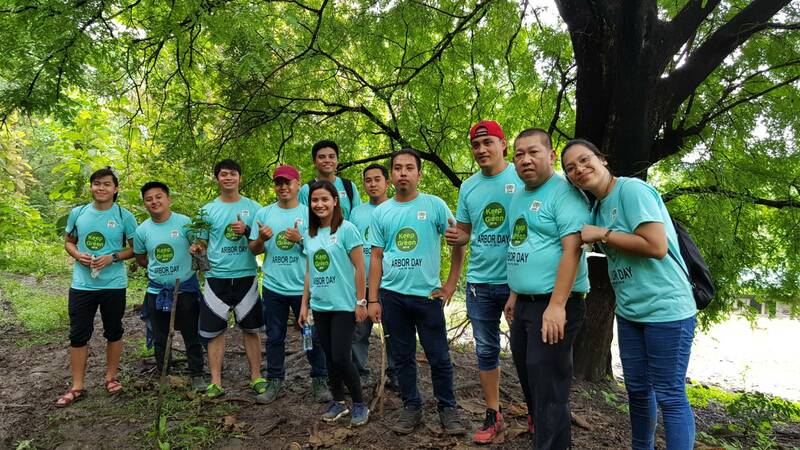 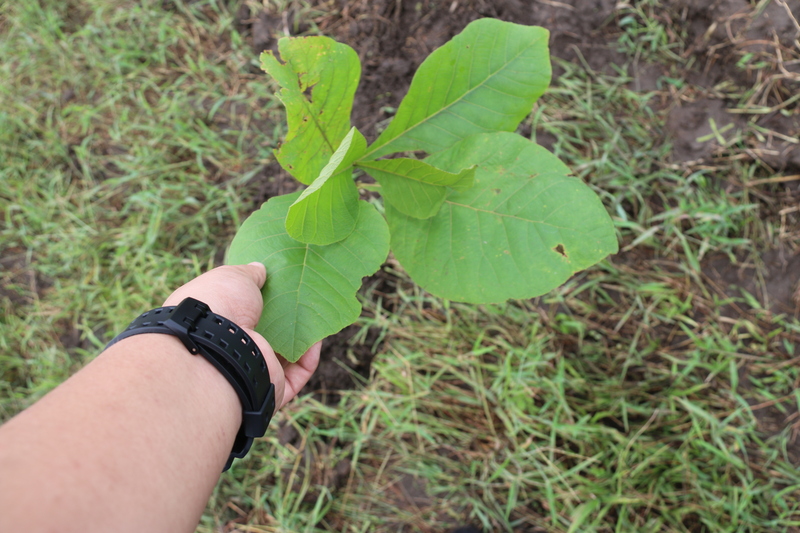 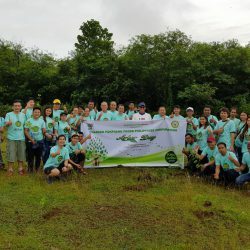 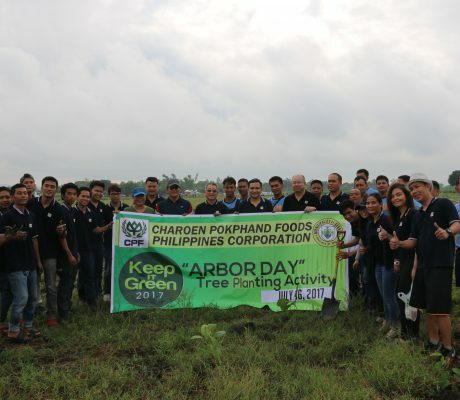 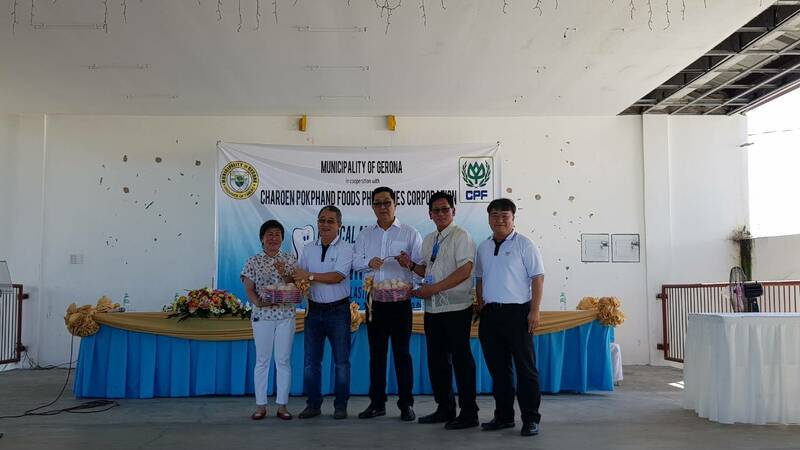 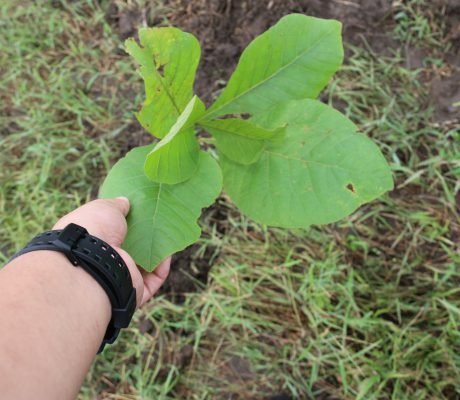 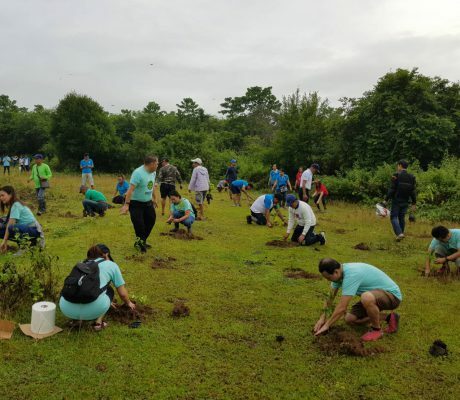 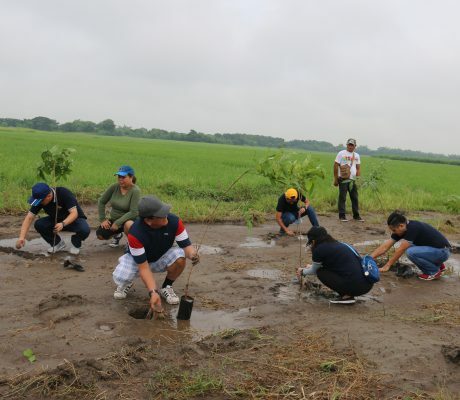 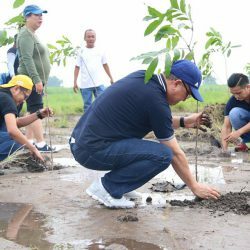 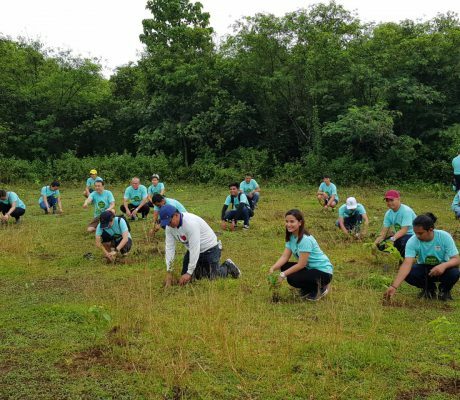 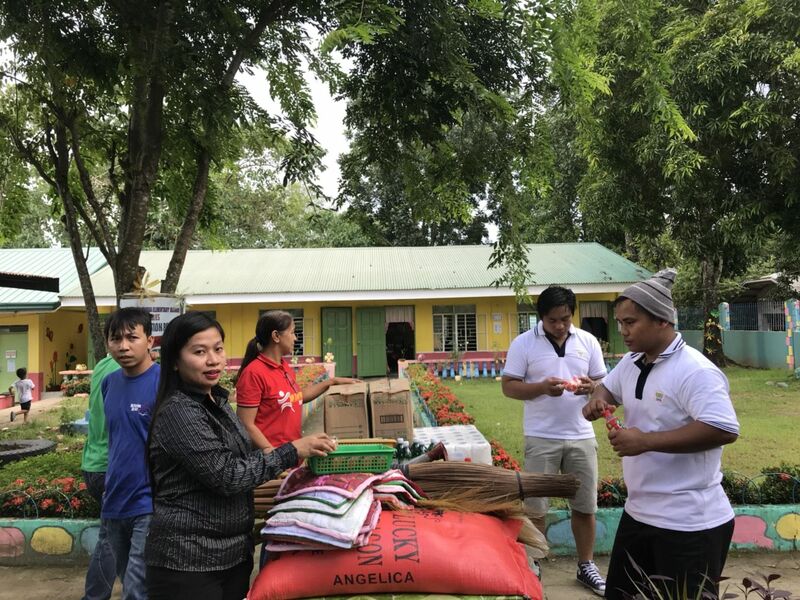 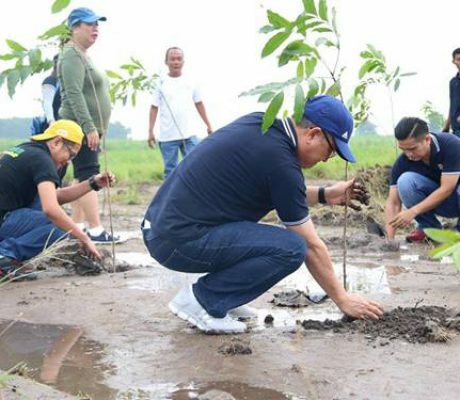 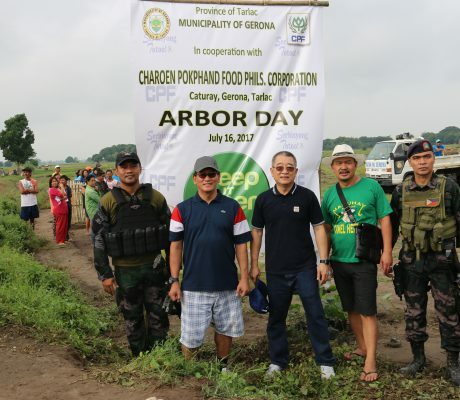 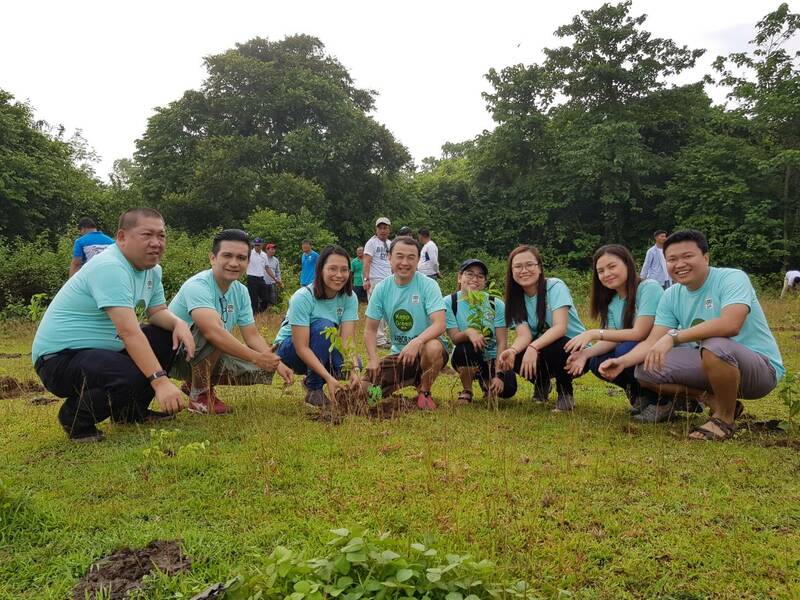 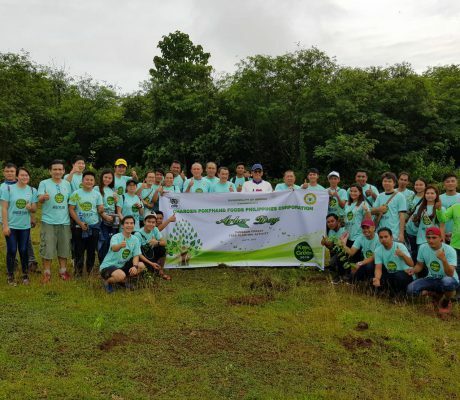 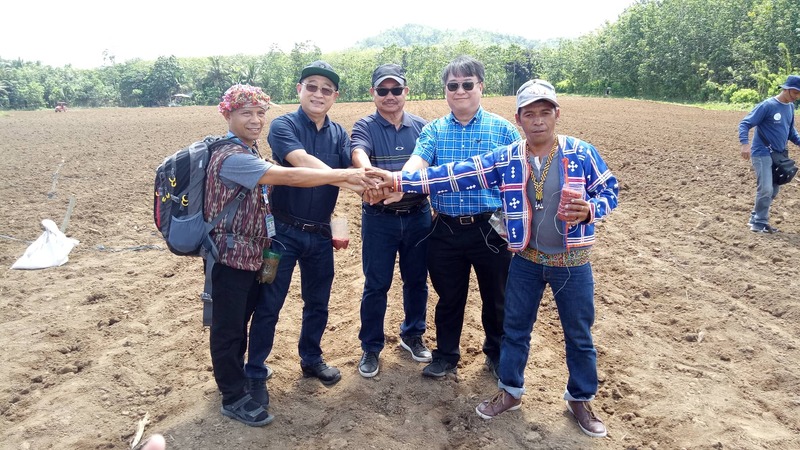 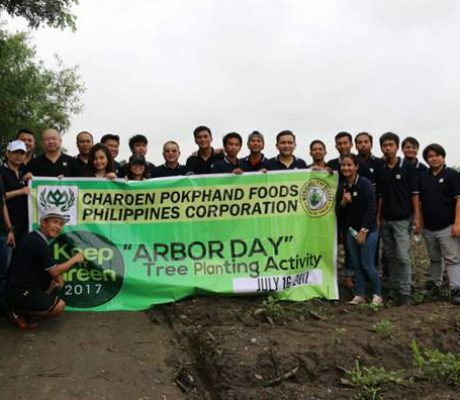 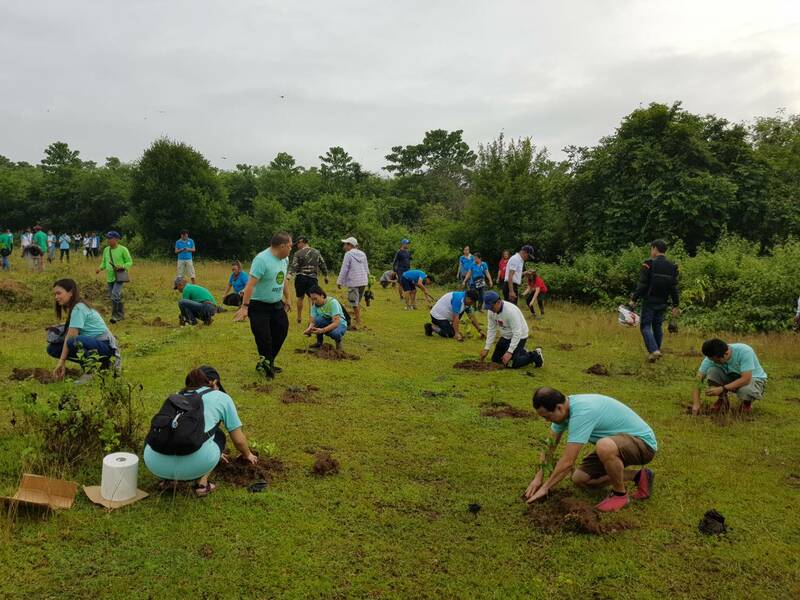 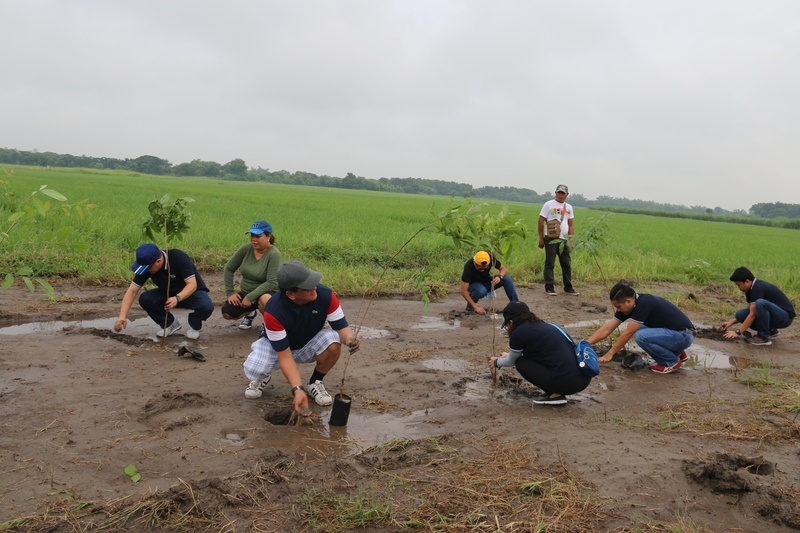 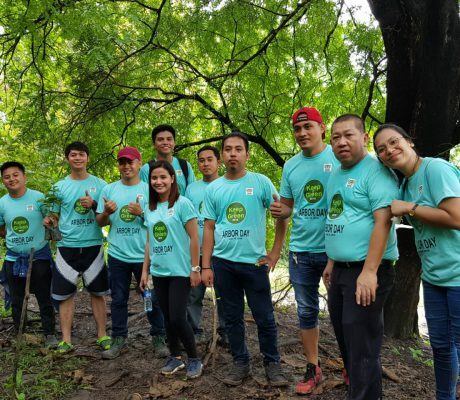 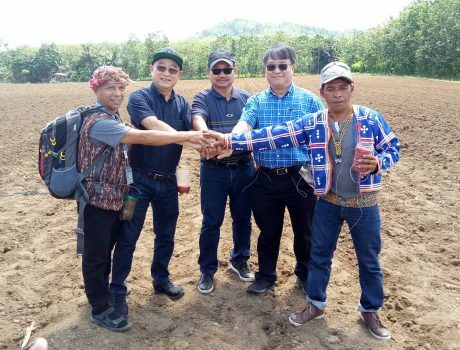 Charoen Pokphand Foods Philippines Corporation in coordination with Municipality of Gerona planted over 1,200 seedlings in CAMASAN Forest in observance of Arbor Day last July 16, 2018. 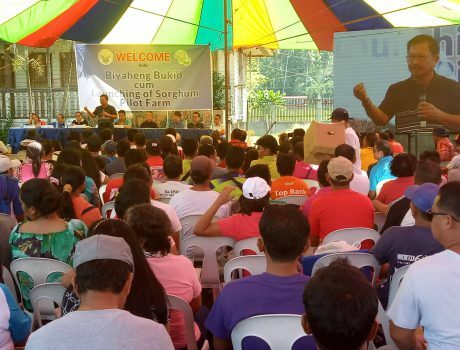 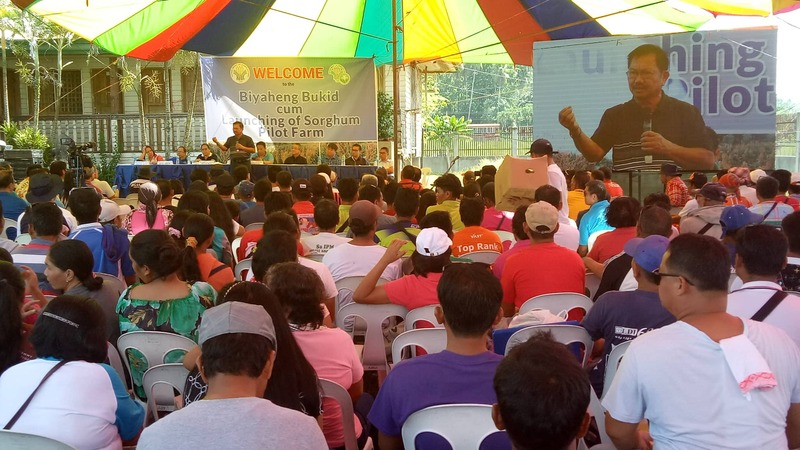 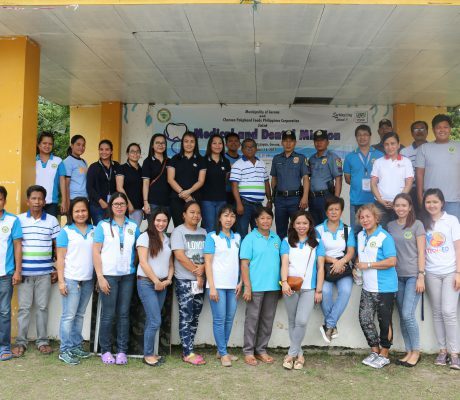 Purpose : This event is primarily created to make anti-criminality campaign and reaching our fellow Filipinos in isolated and far-flung areas of mayantoc area together with the local Governmet unit. 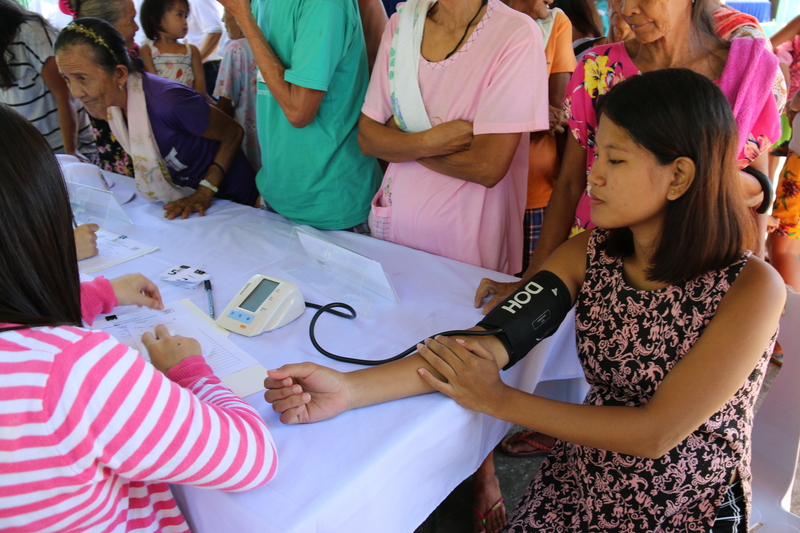 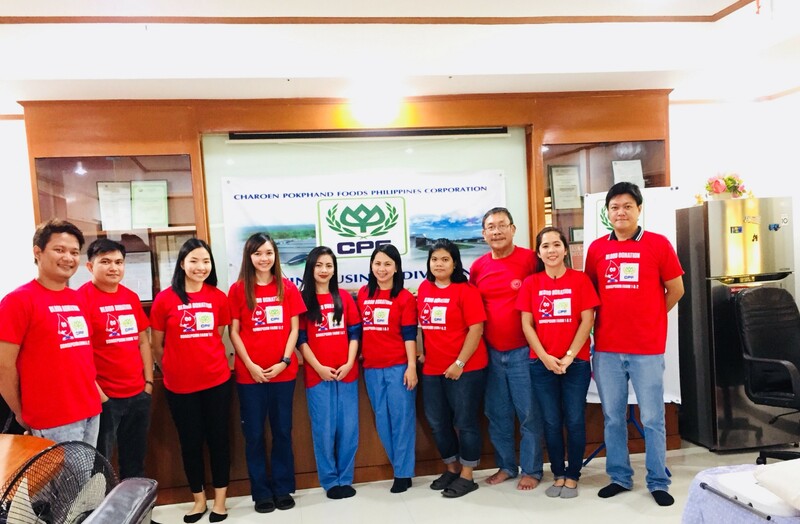 October 25, 2018 – As part of CPF’s Three Benefits Principle of benefiting the society, CPF conducts medical and dental mission to Brgy. 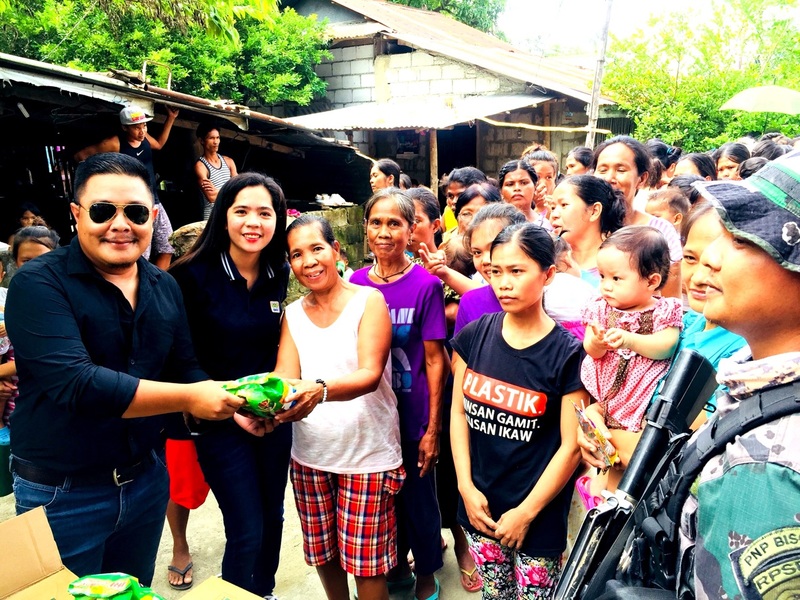 Rizal, one of the considered depressed barangays of Gerona, Tarlac. 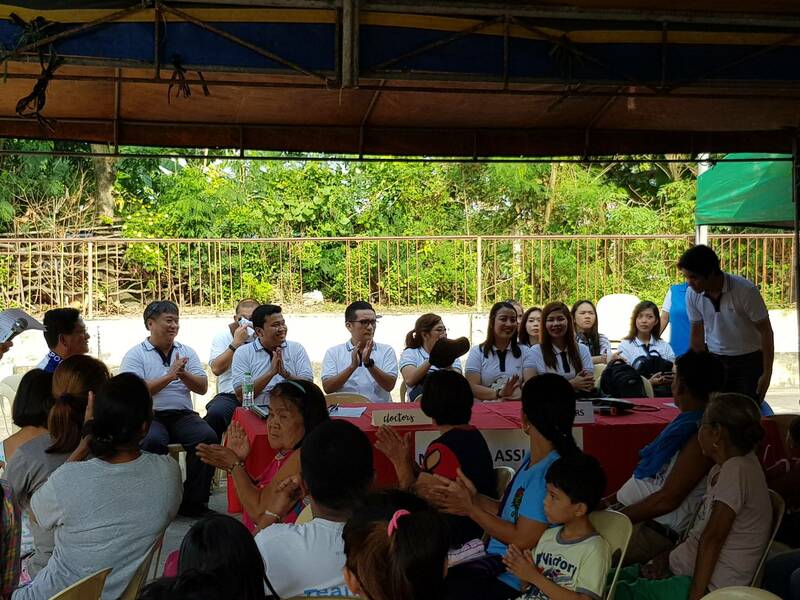 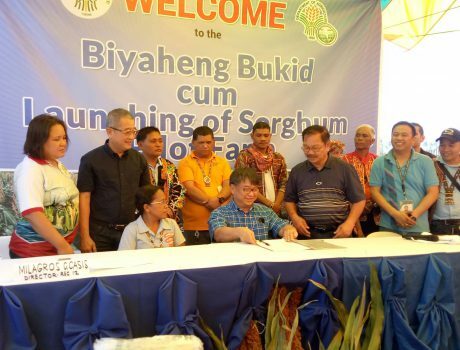 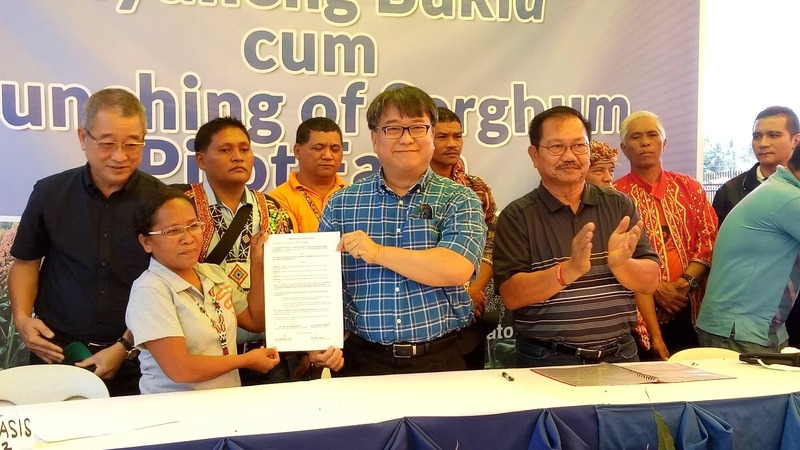 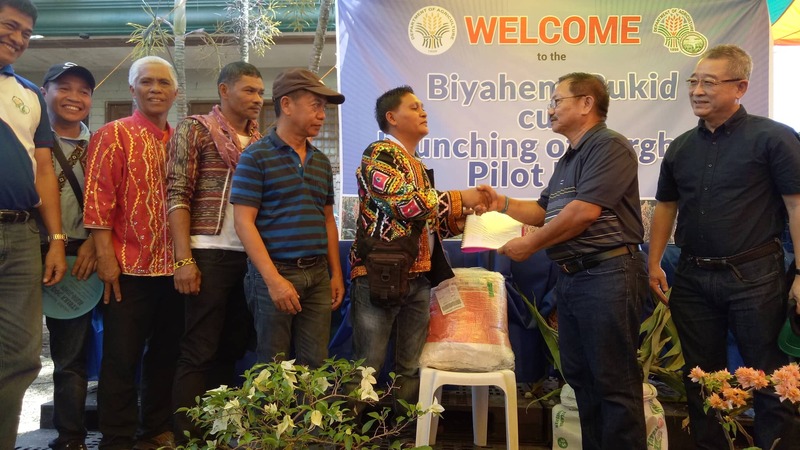 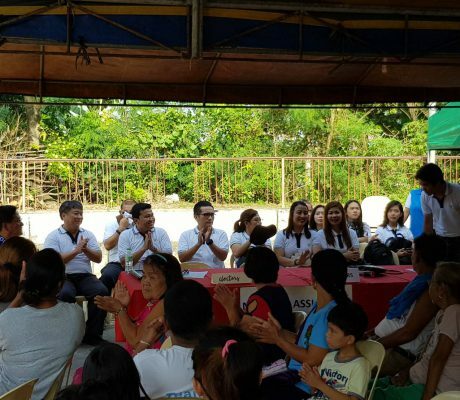 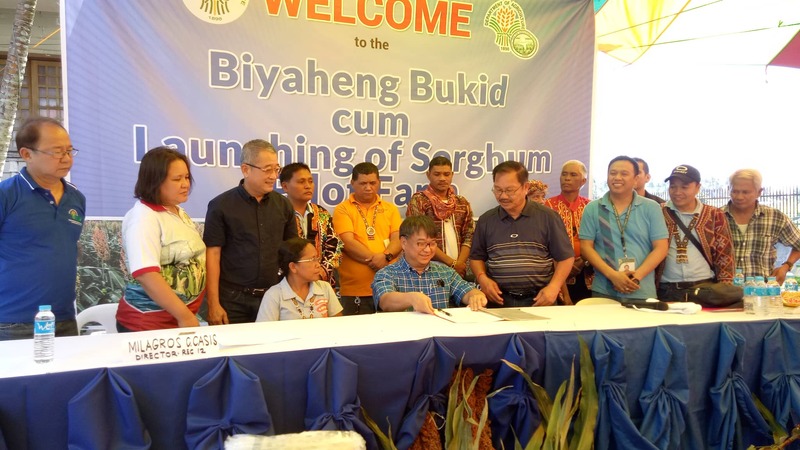 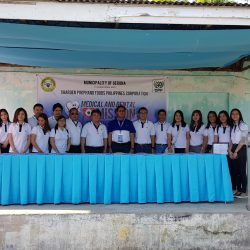 The said barangay was endorsed by the Municipality of Gerona among their list of barangays best in need of medical and dental assistance. 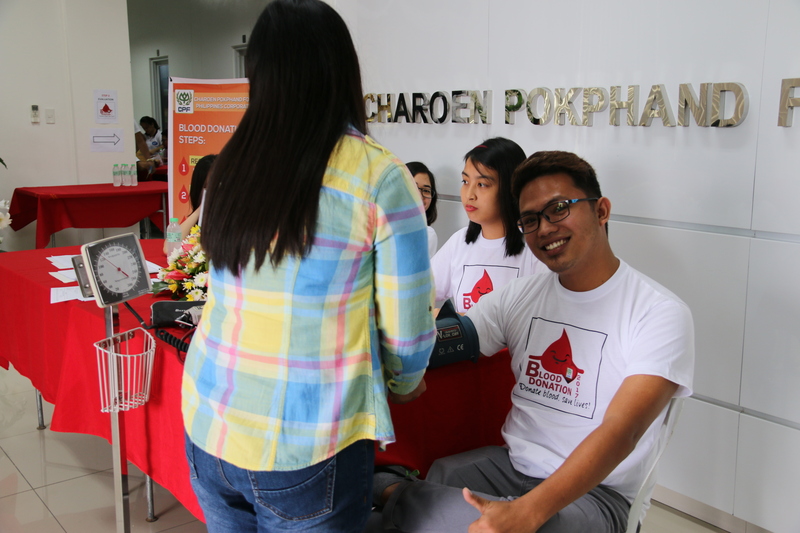 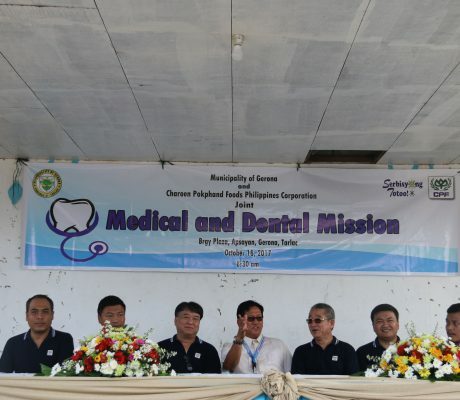 Medical and Dental Mission is a yearly joint project of Charoen Pokphand Foods Philippines Corporation and the Municipality of Gerona. 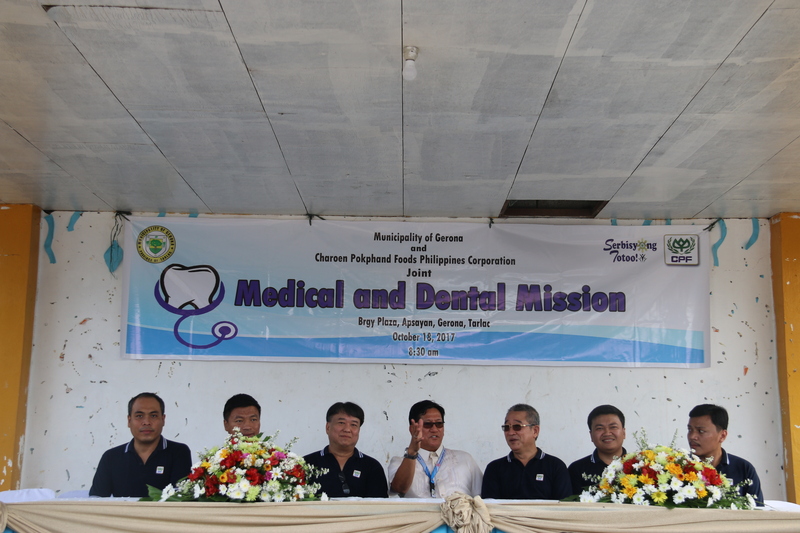 The Municipality is in charge of providing Professional Doctors, Dentists, Nurses and Health Workers. 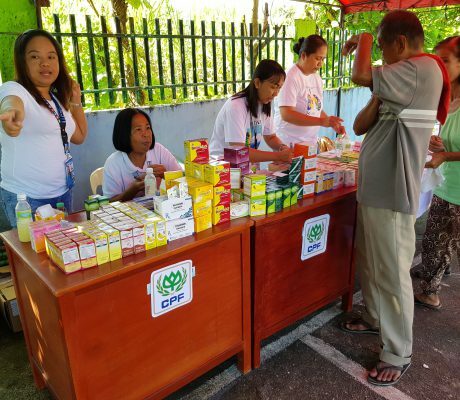 While CPFPC provided the medicines and vitamins needed for the said outreach program. 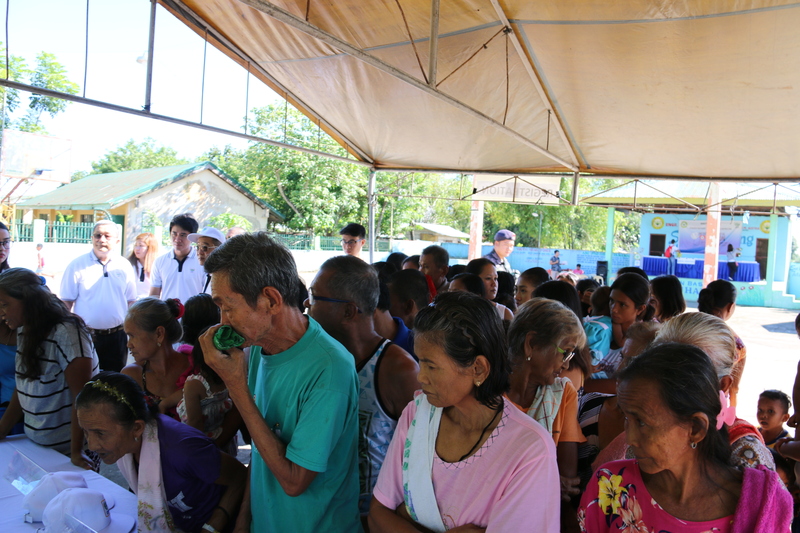 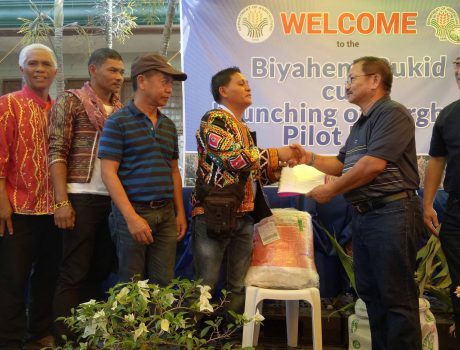 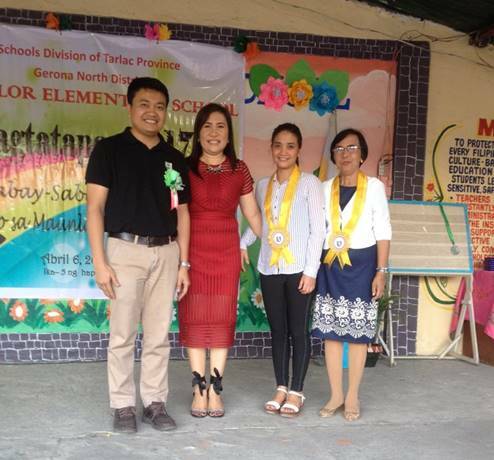 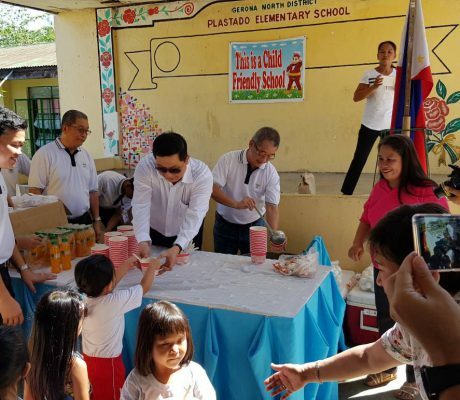 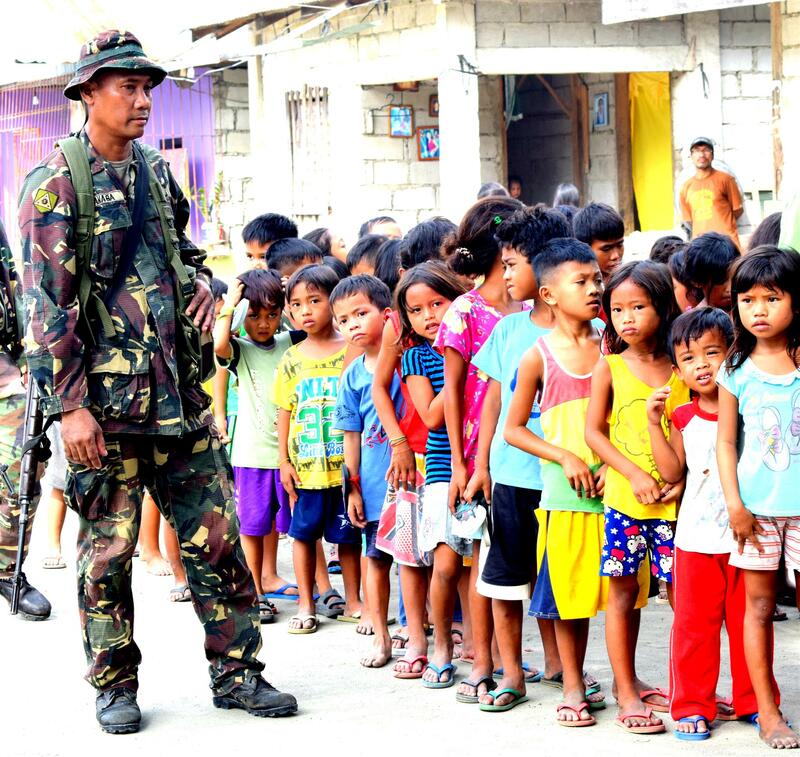 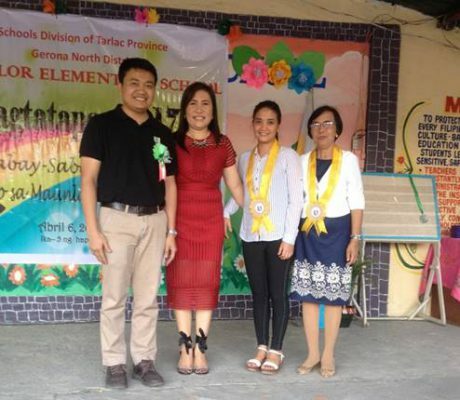 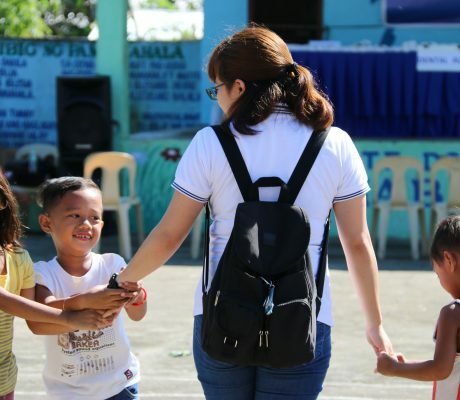 This joint project was able to help approximately 350 families from the barangay from elderly to infants. 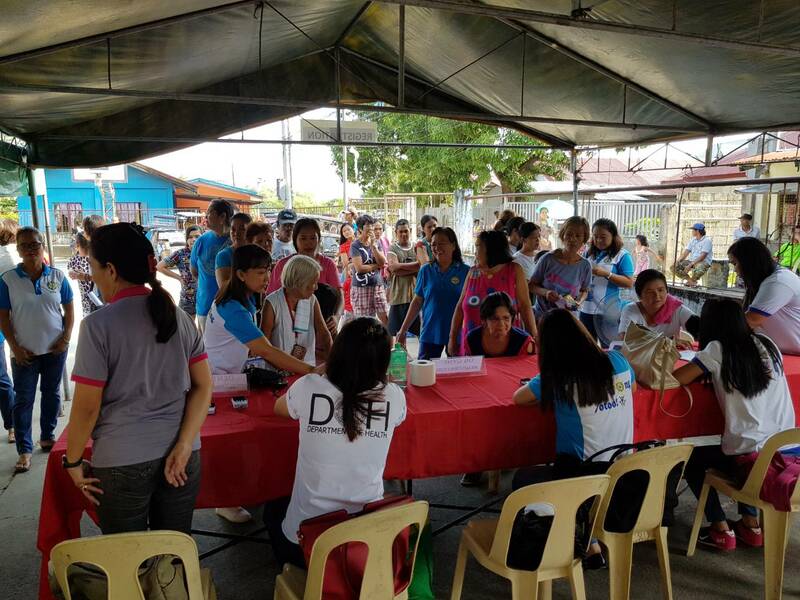 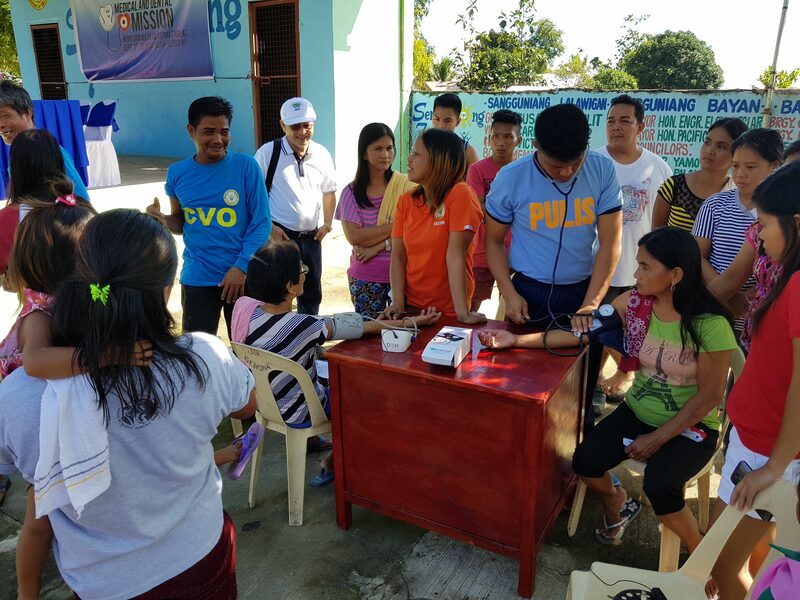 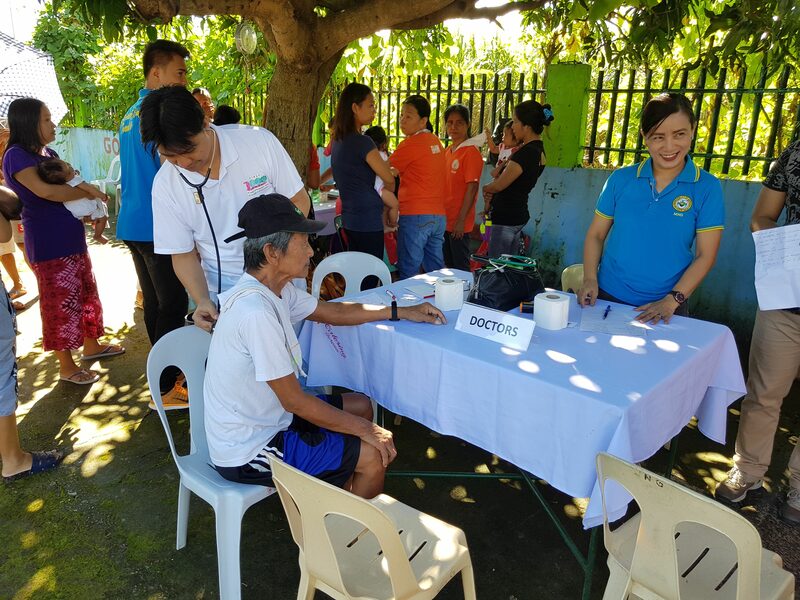 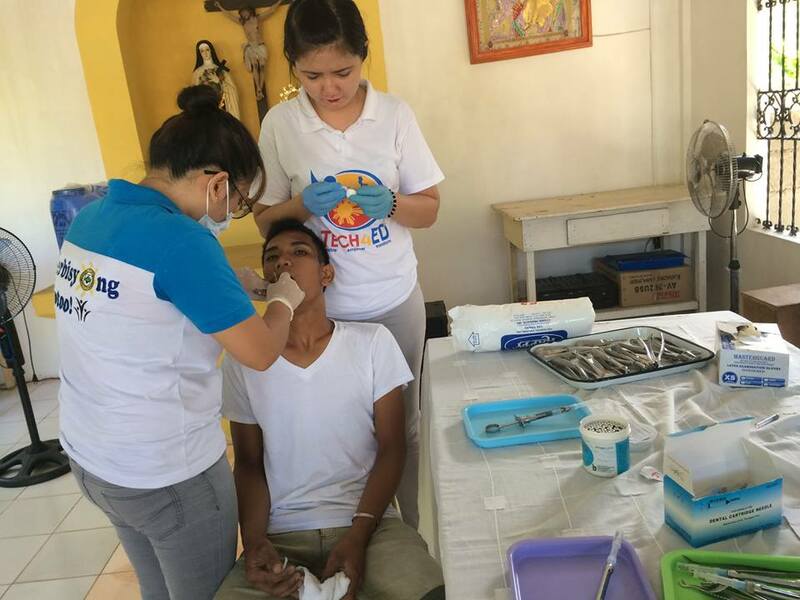 October 21, 2018 – CPF conducts medical and dental mission to Brgy. 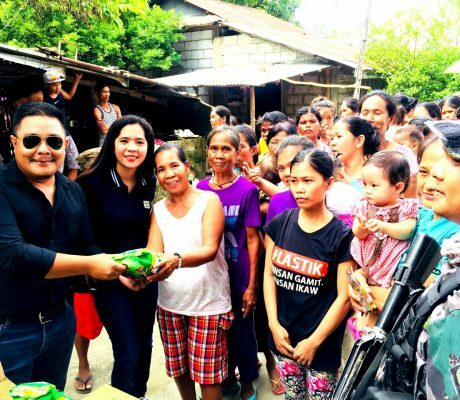 Don Basilio, one of the considered depressed barangays of Gerona, Tarlac. 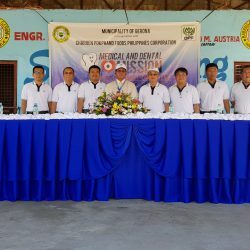 The said barangay was endorsed by the Municipality of Gerona among their list of barangays best in need of medical and dental assistance. 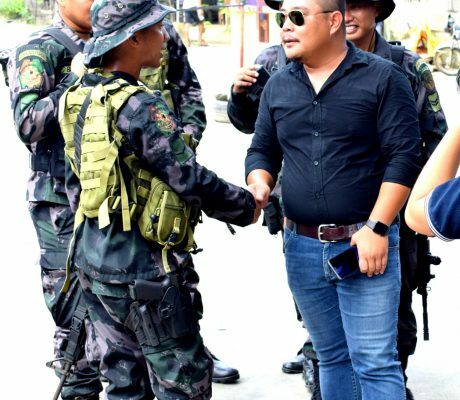 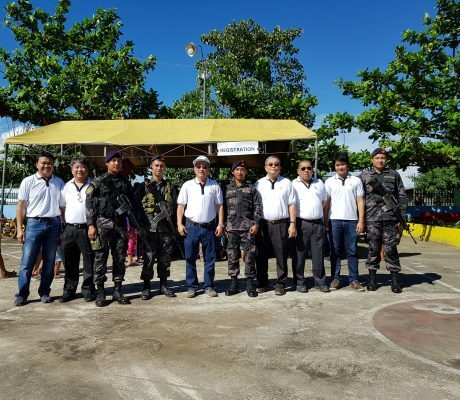 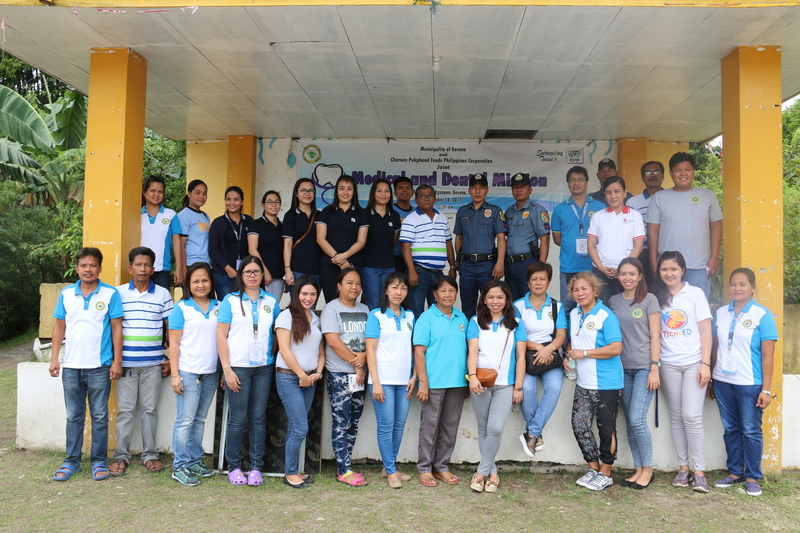 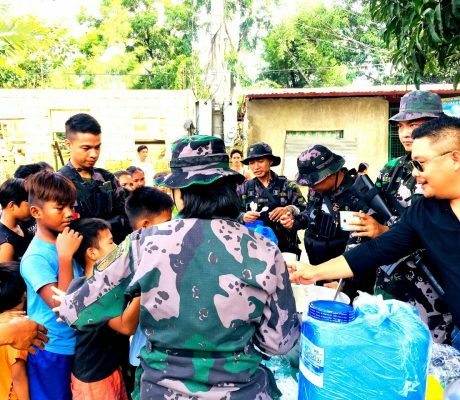 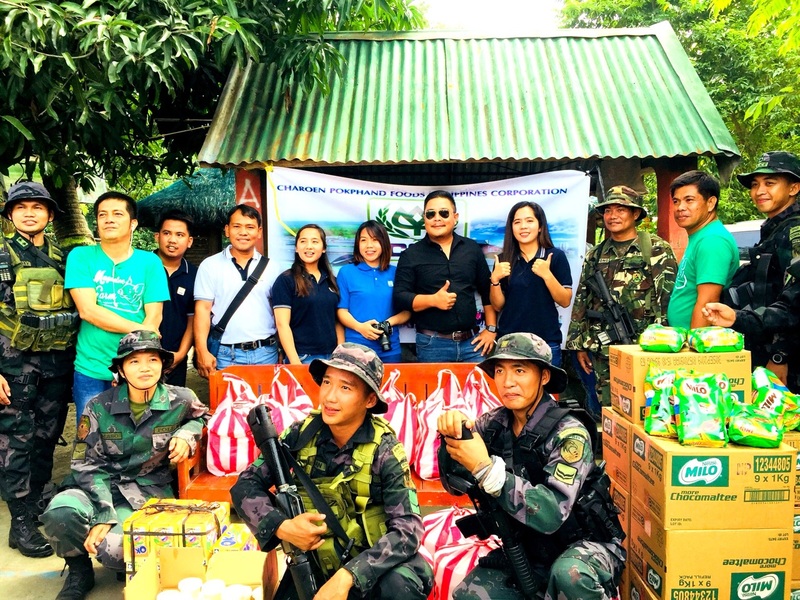 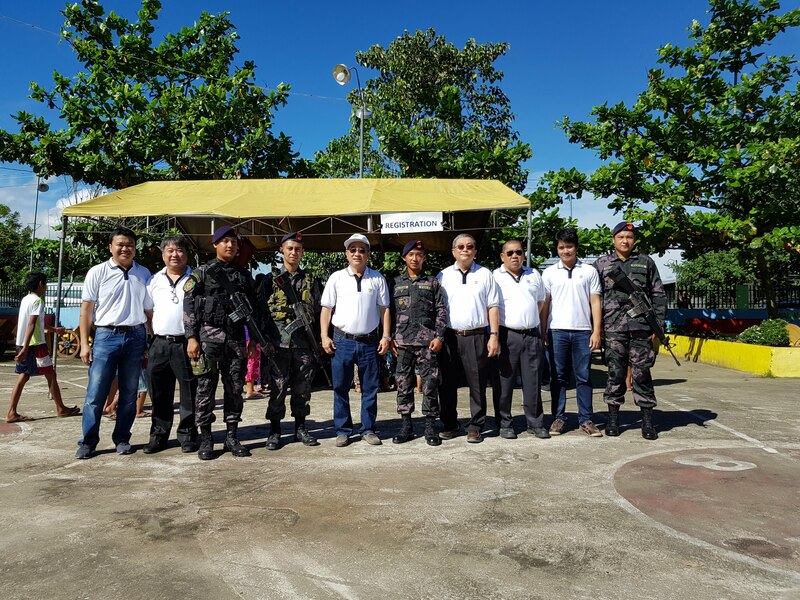 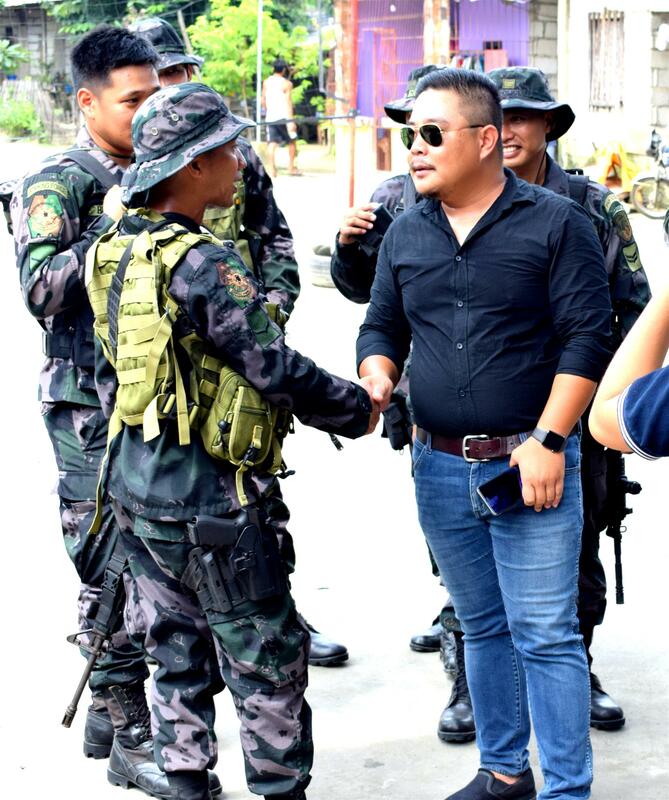 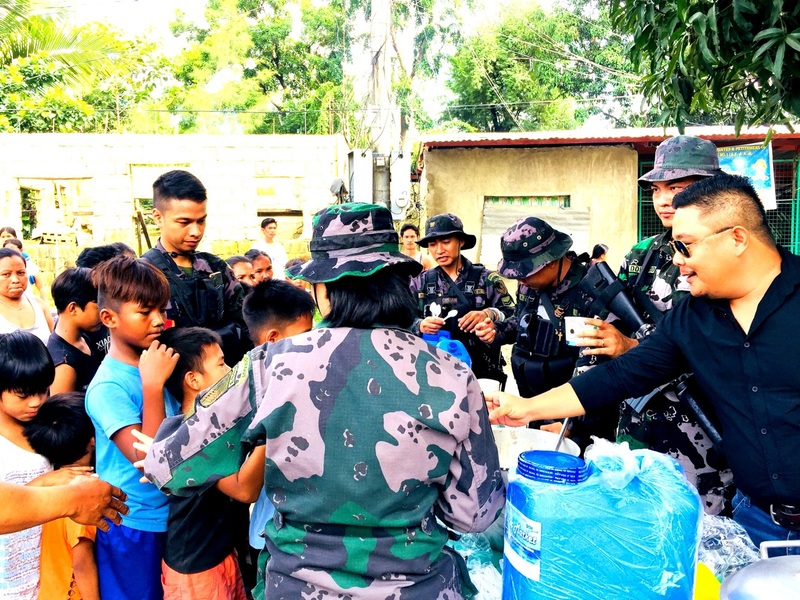 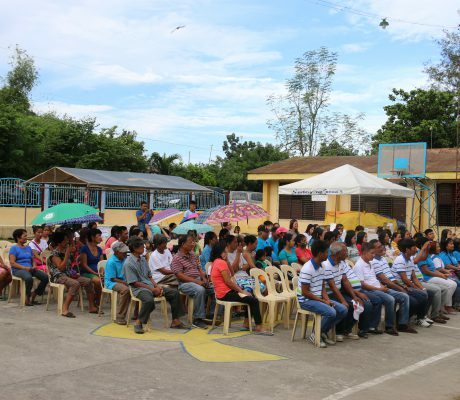 The Philippine National Police – Gerona, on the other hand, also extended their support for the activity by providing assistance and security for the event. 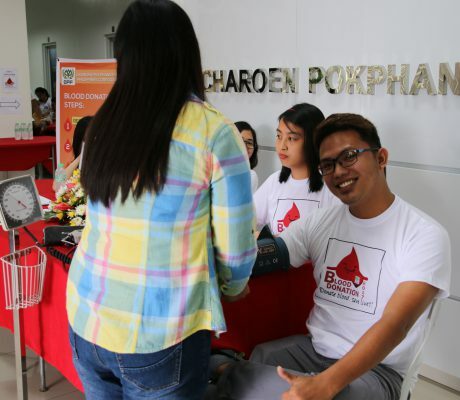 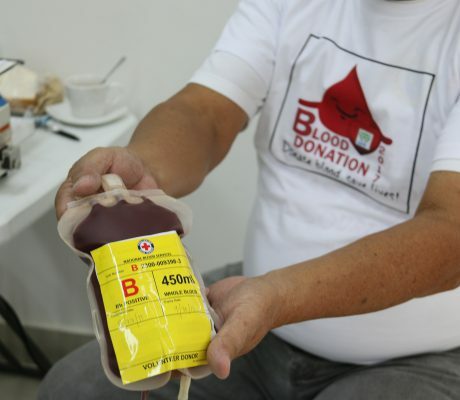 Objective : Build wider public awareness for the need of regular blood donation throughout the year in order to maintain an adequate supply of blood to all patients requiring transfusion. 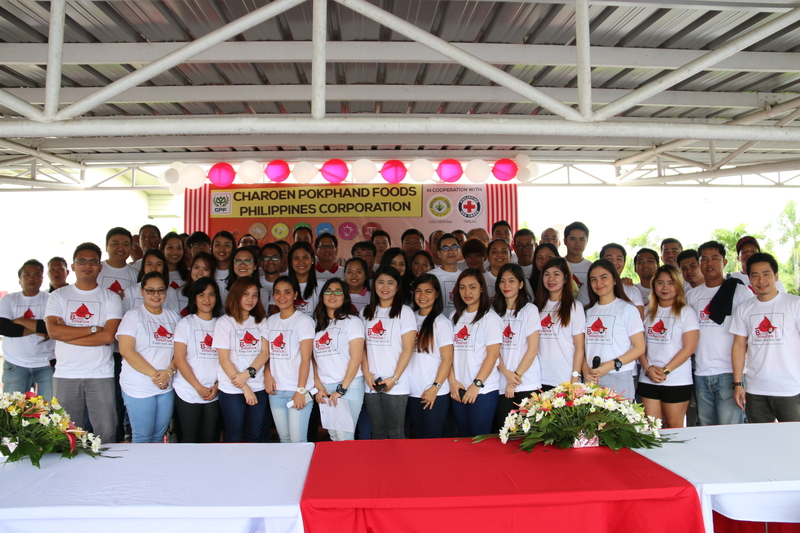 In partnership with Philippine Redcross – Tarlac Chapter and CPF Employees together with our Workers and Staff. 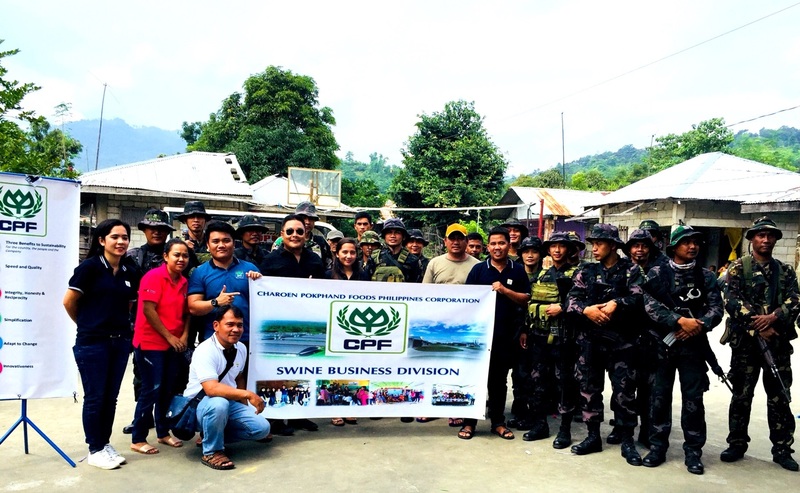 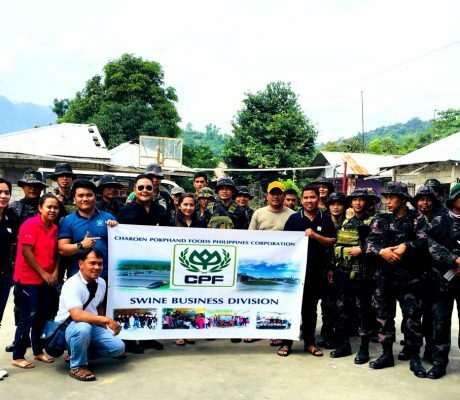 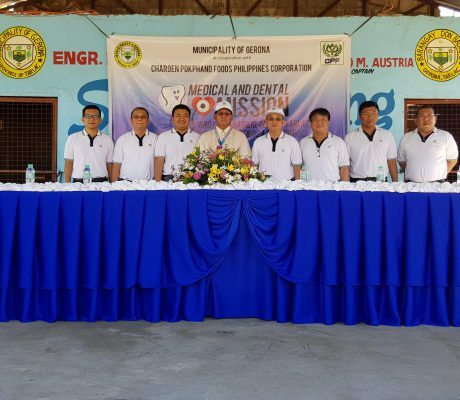 CPF Philippines arranged the Medical and Dental Mission Project for the 2nd year Engr. 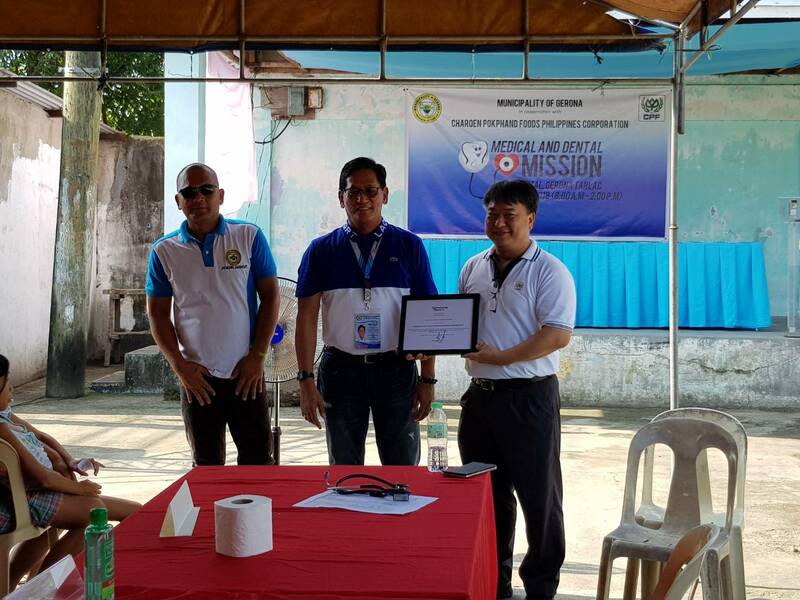 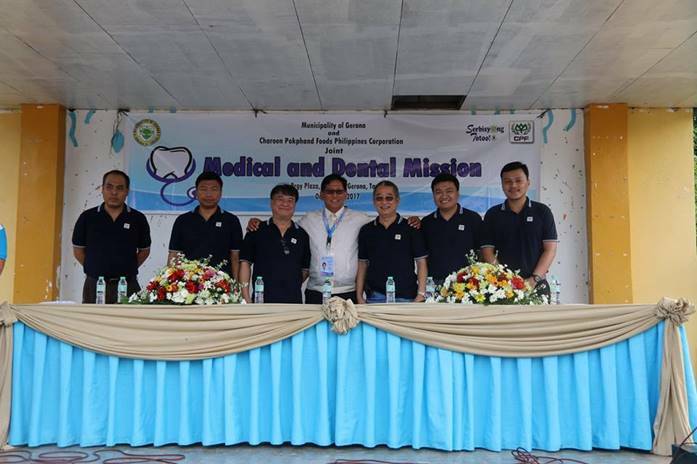 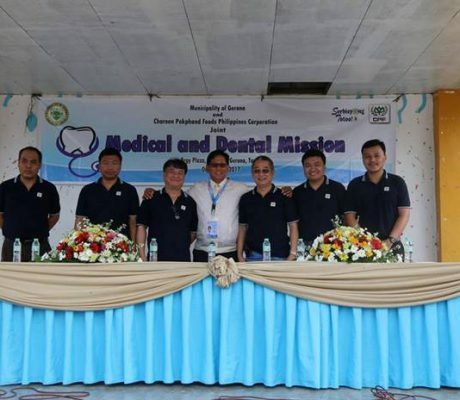 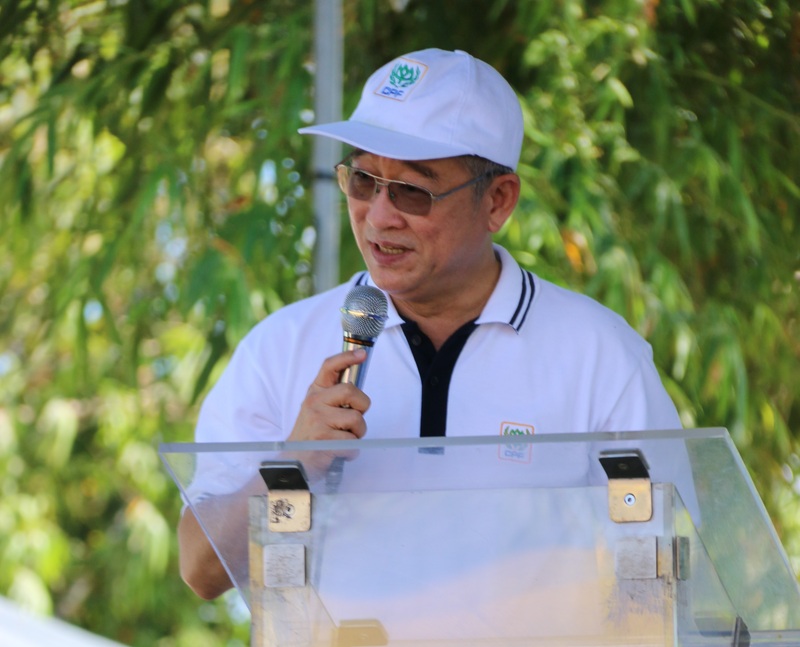 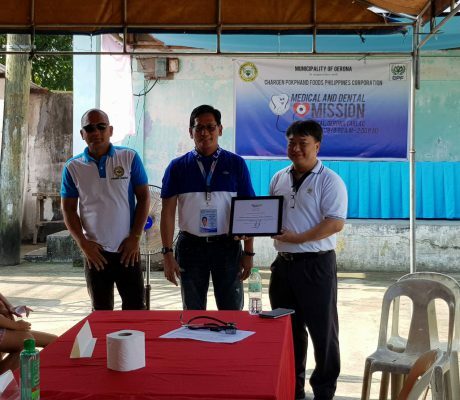 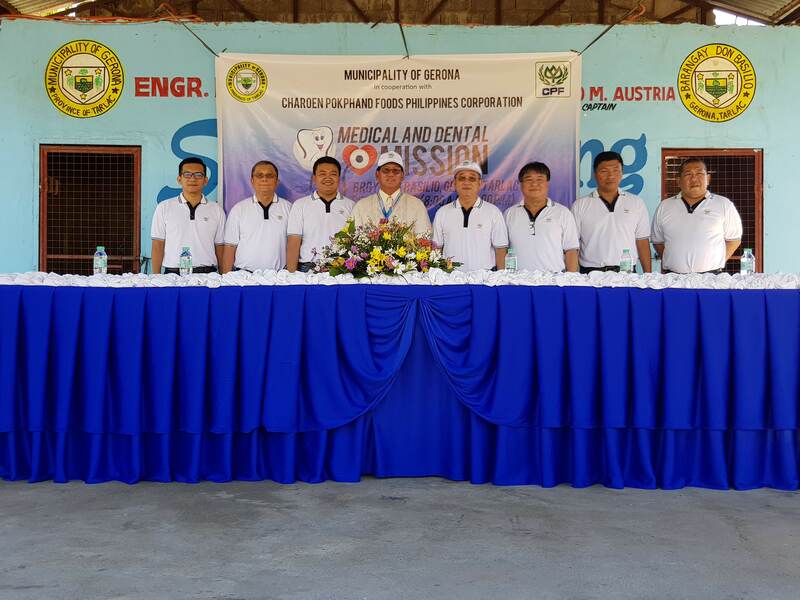 Eloy Castillo Eclar, Municipal Mayor of Gerona, the Philippines, presided over the opening ceremony of the “Medical and Dental Mission” for the 2nd year. 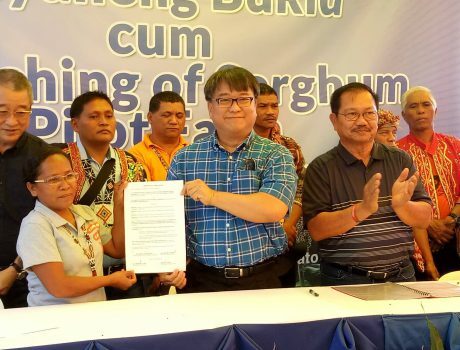 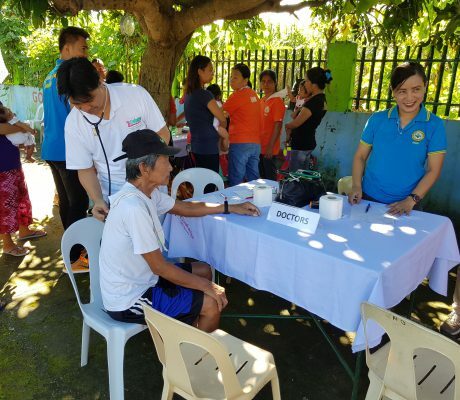 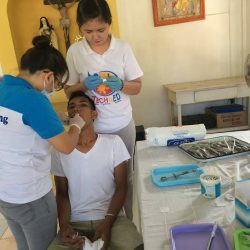 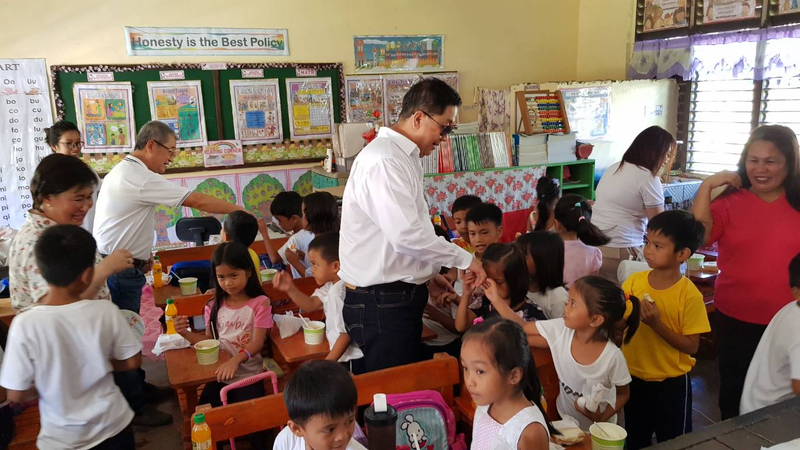 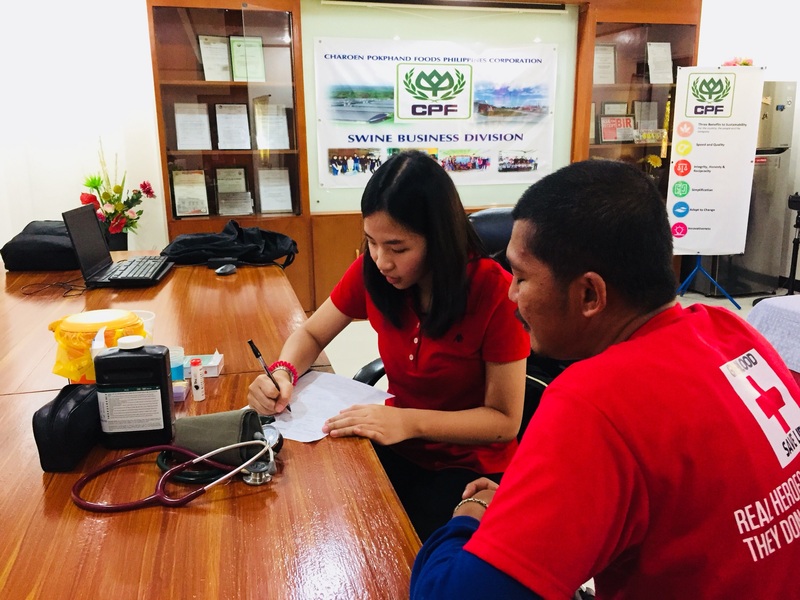 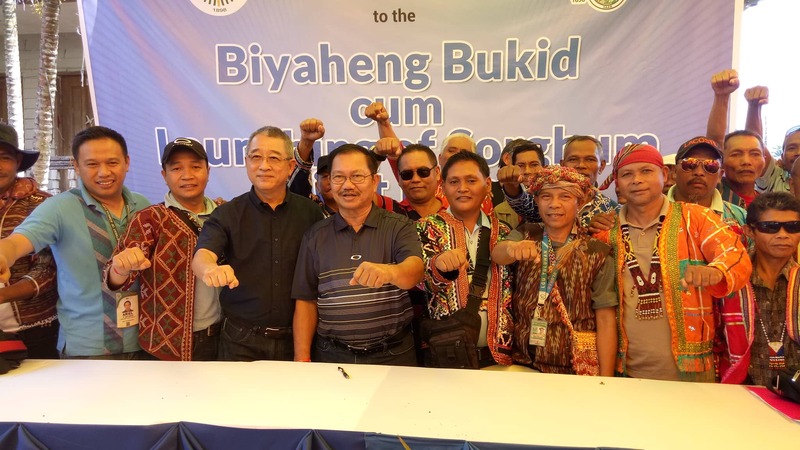 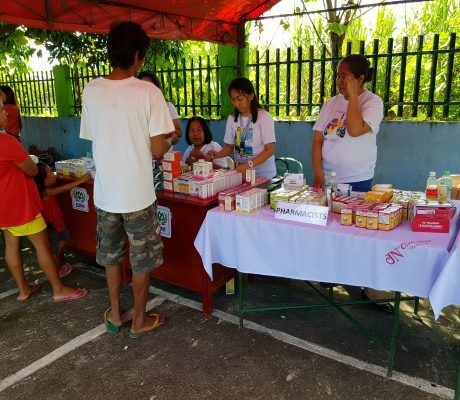 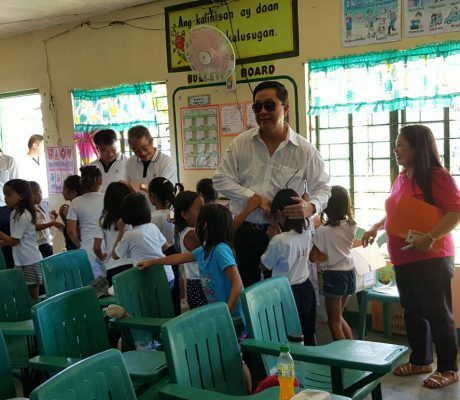 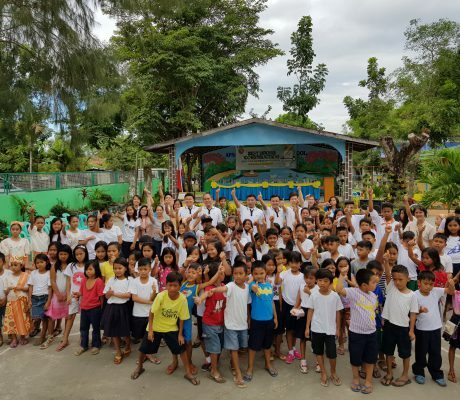 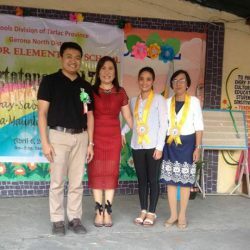 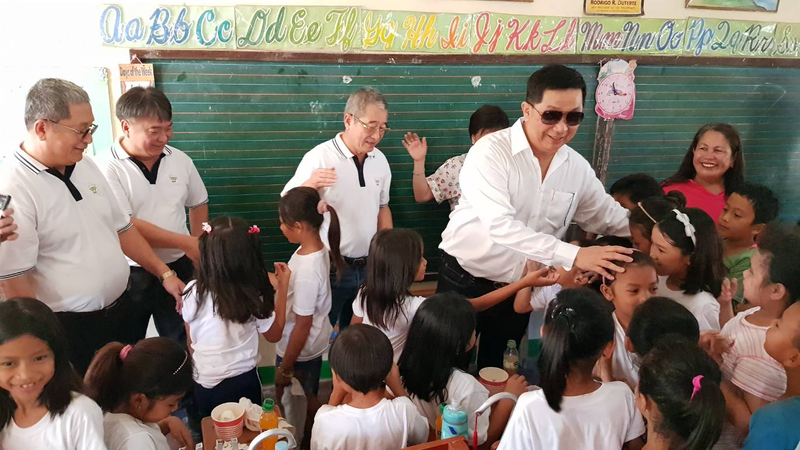 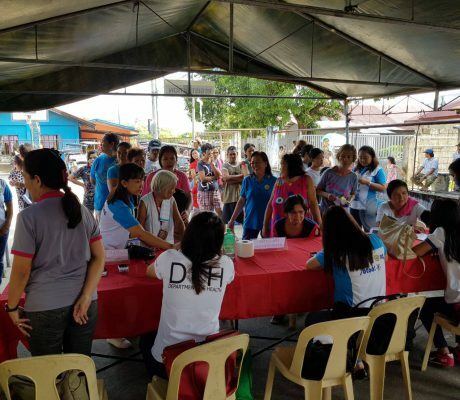 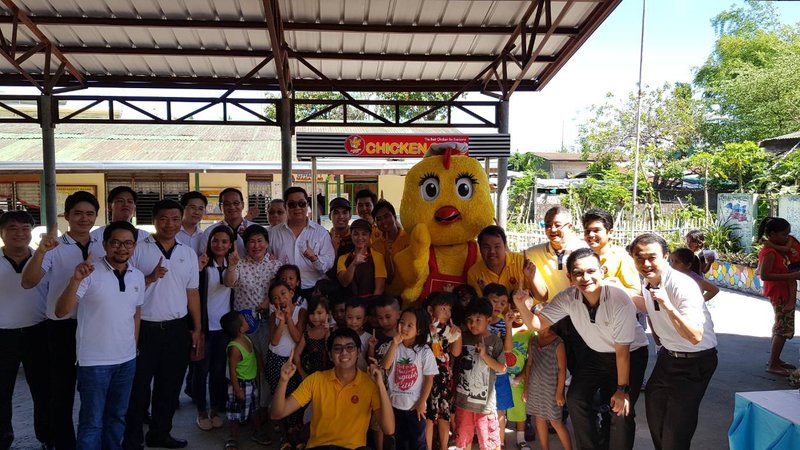 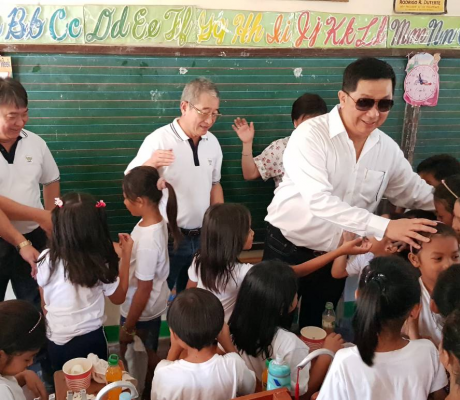 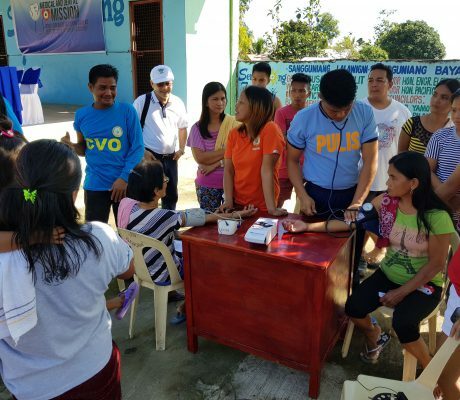 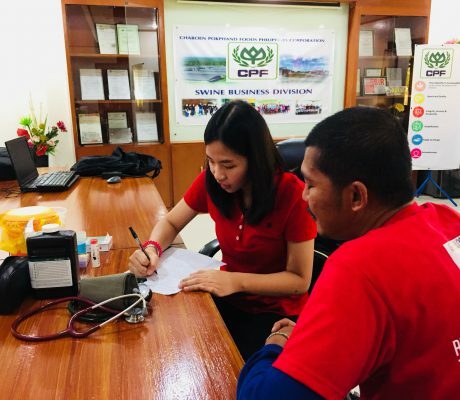 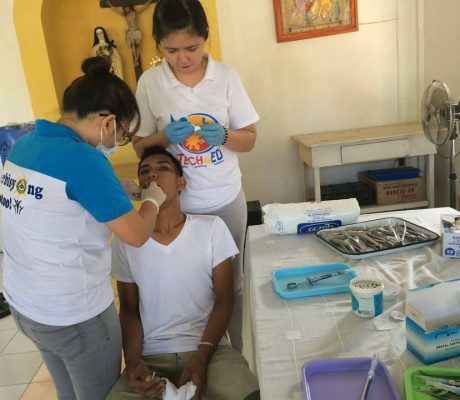 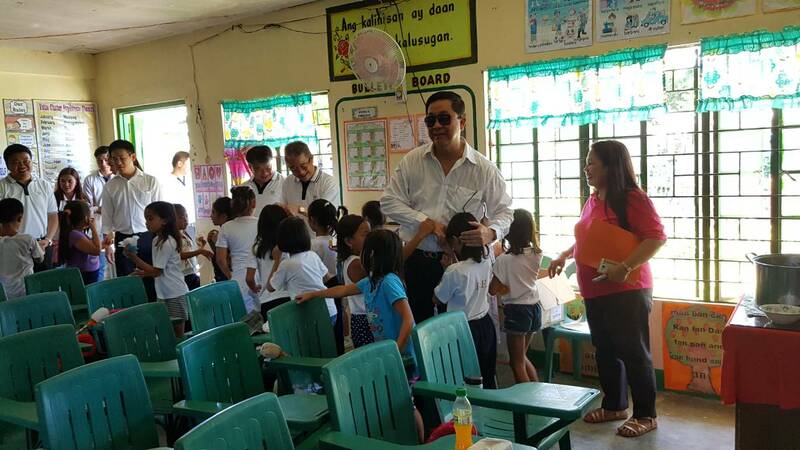 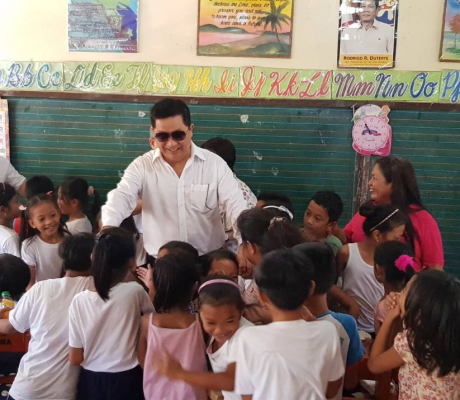 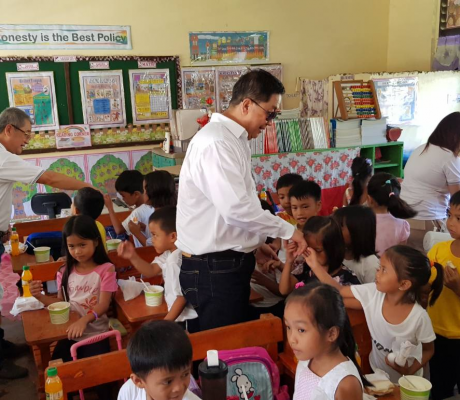 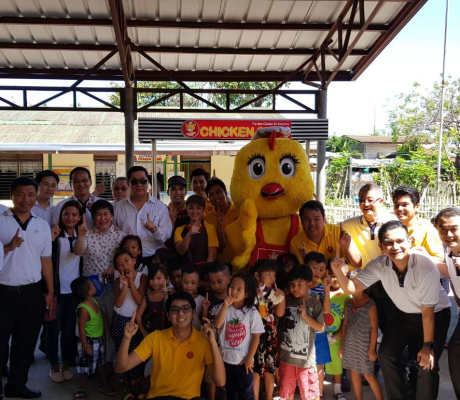 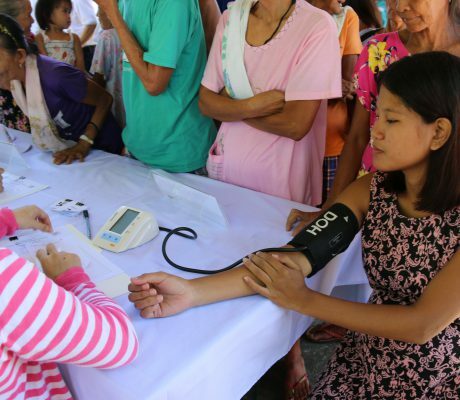 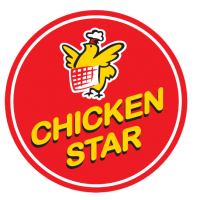 The project was initiated by Charoen Pokphand Foods Corporation Philippines (CPF Philippines) in collaboration with local municipal of Gerona and concerned government agencies to provide health check and dental services to people in the community. 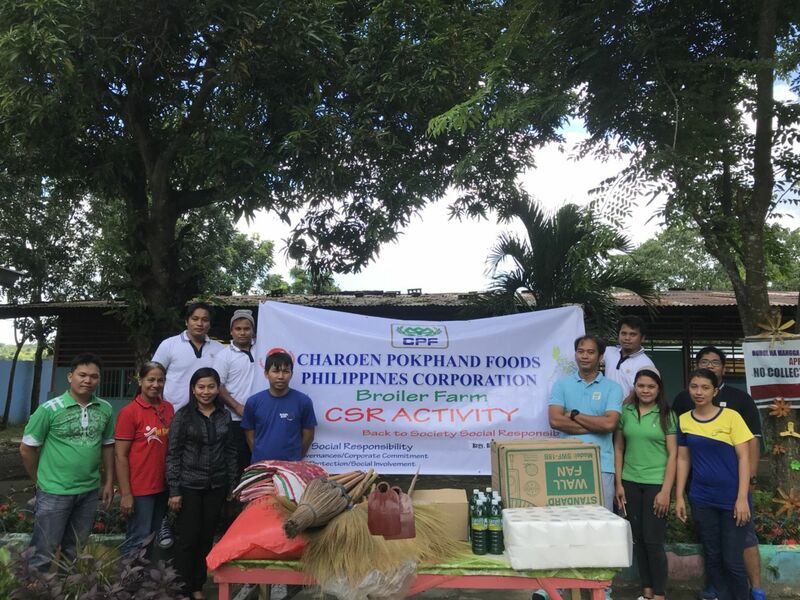 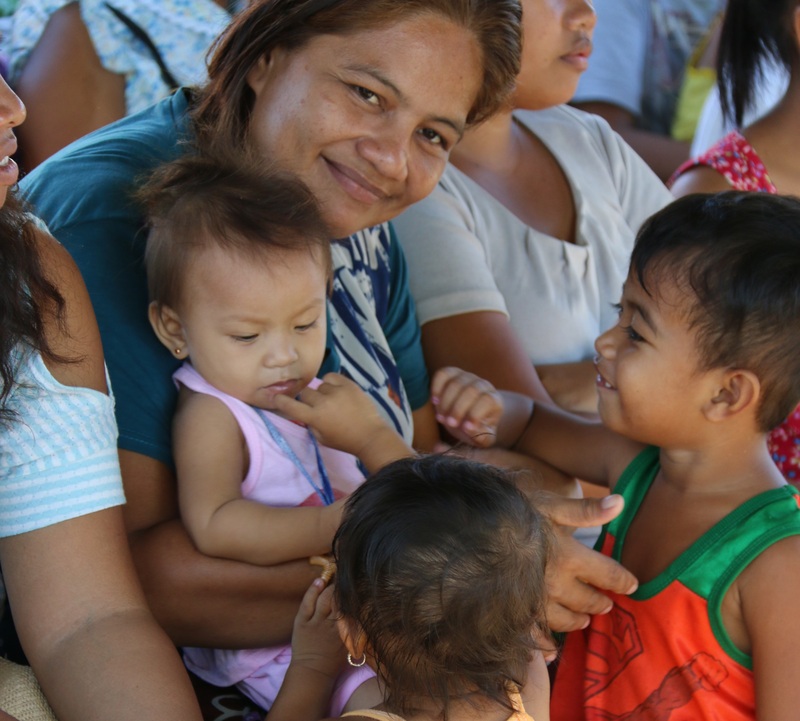 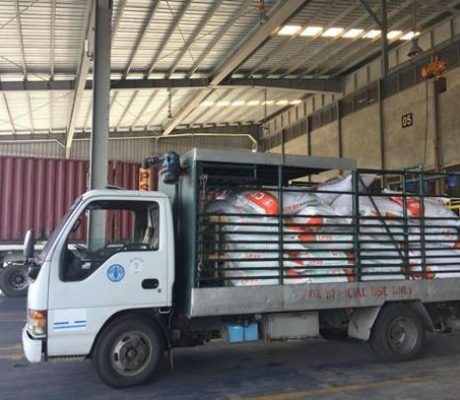 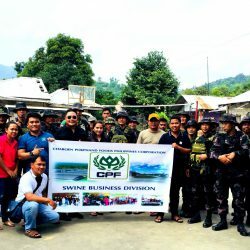 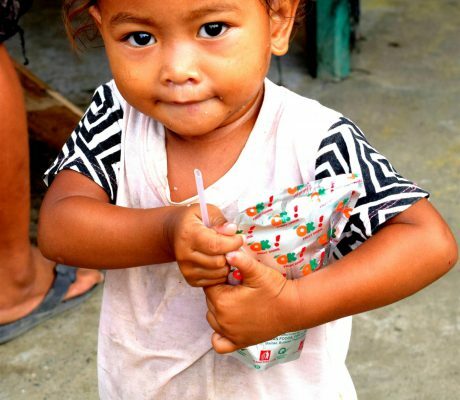 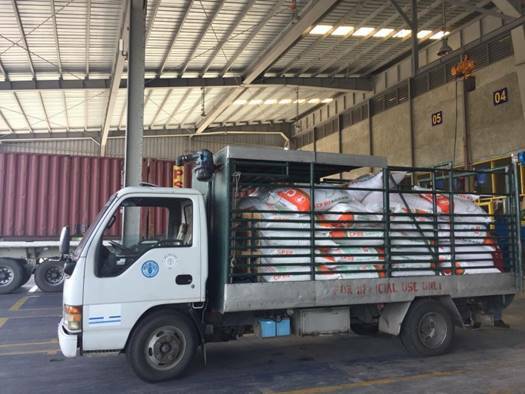 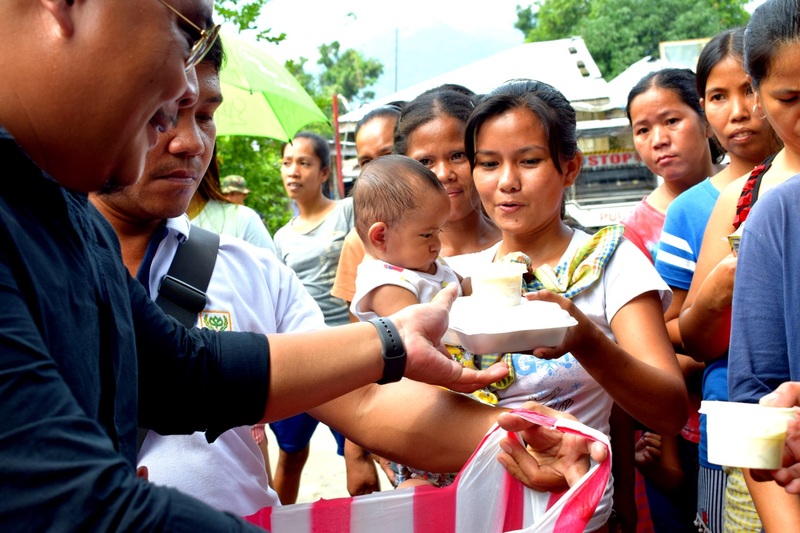 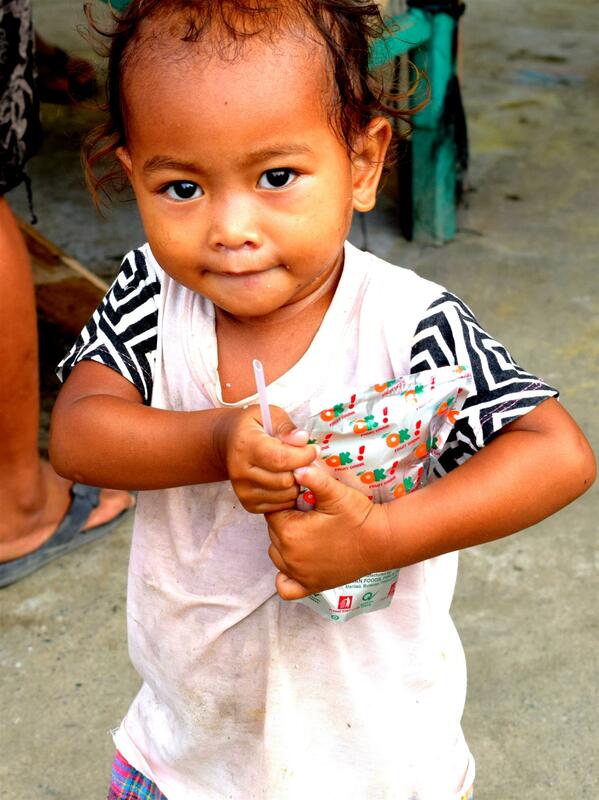 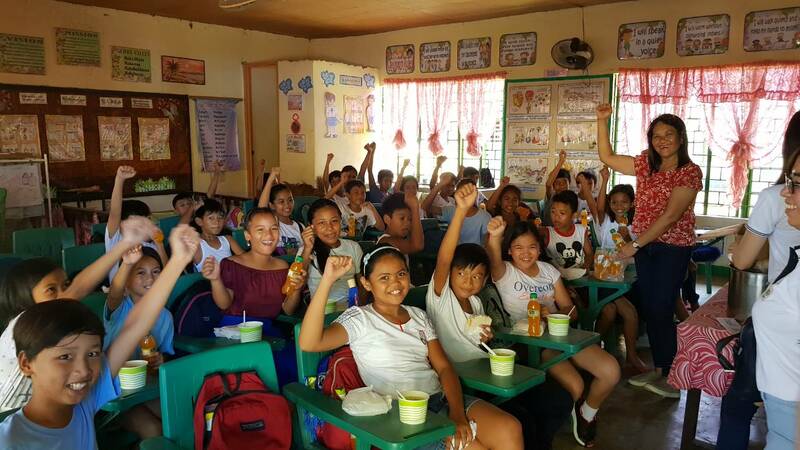 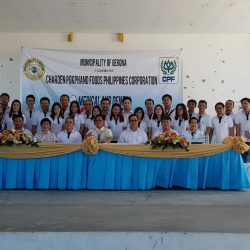 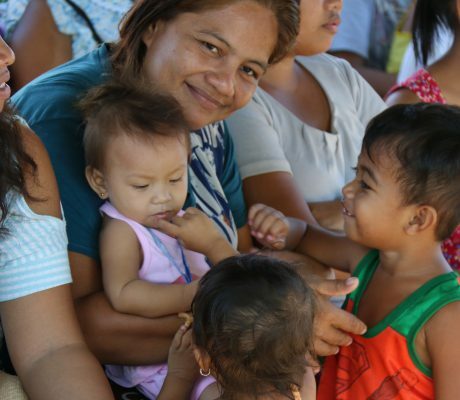 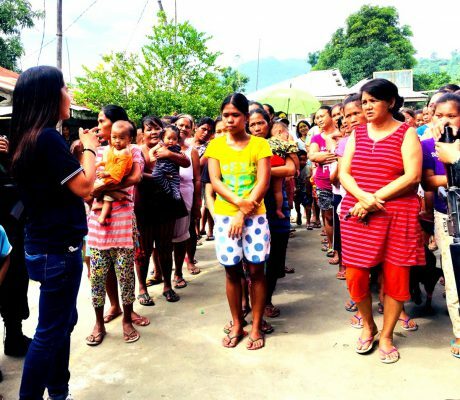 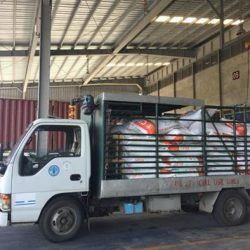 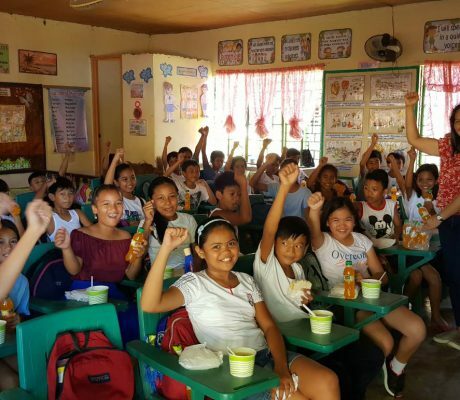 CPF Philippines supports medical supplies, medicines and medical services to those villagers living in the surrounding areas of its manufacturing plant. 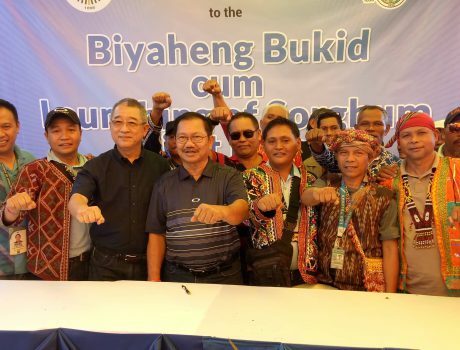 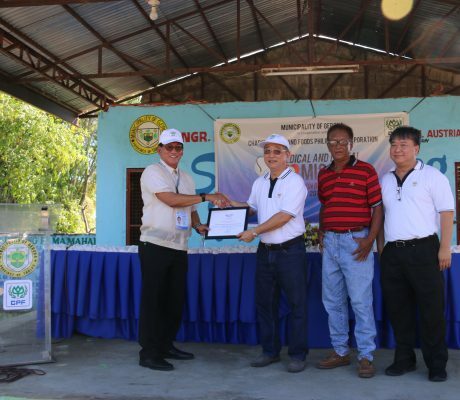 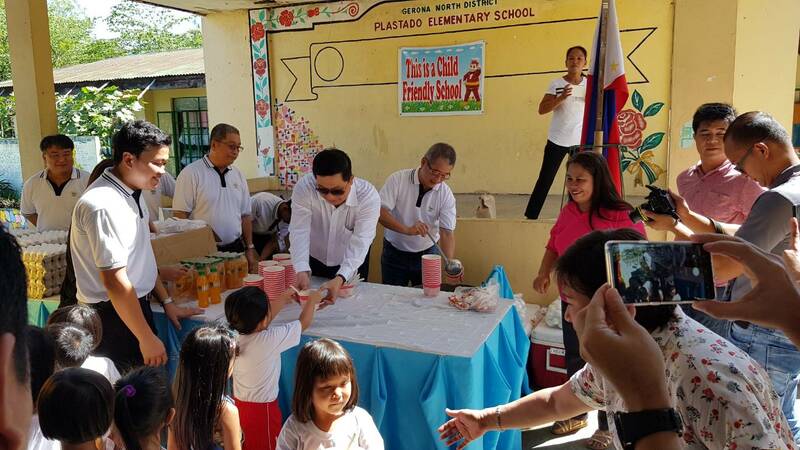 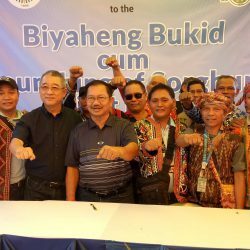 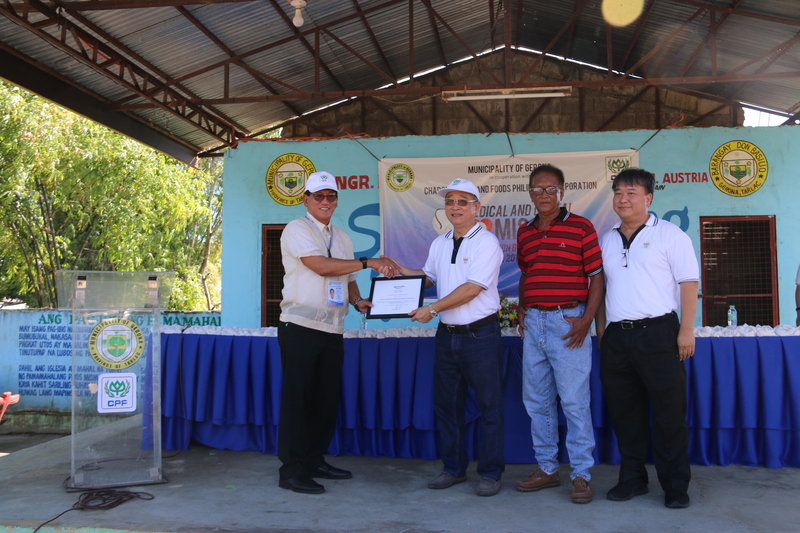 Mr.Sooksunt Jiumjaiswanglerg, Chief Executive Officer – Agro Industrial Business and Co-President of CPF (Bangkok headquarter), and Mr.Sakol Cheewakoset, Vice Chairman, Agro – Industrial Business Group (Livestock) CPF Philippines, led the company’s management and volunteers to jointly service people in the Barangay Plastado Village, Gerona, the Philippines. 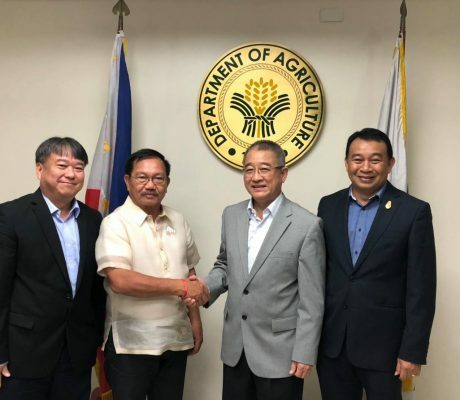 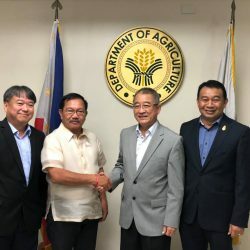 Mr. Emmanuel Piñol, Secretary of the Philippine Department of Agriculture, recently welcomed Mr.Sakol Cheewakoset, Vice Chairman, Agro – Industrial Business Group (Livestock) CPF Philippines Corporation, and Mr. Udomsak Aksornpakdee, President, Agro- Industrial Business Group (Aquaculture), Philippines Area. 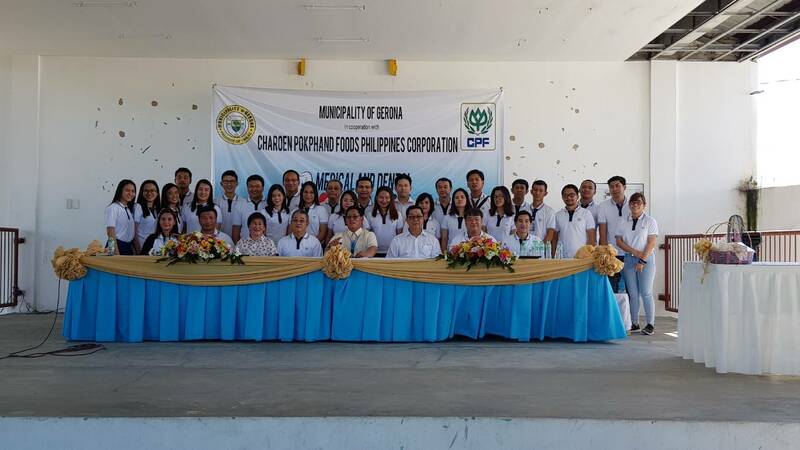 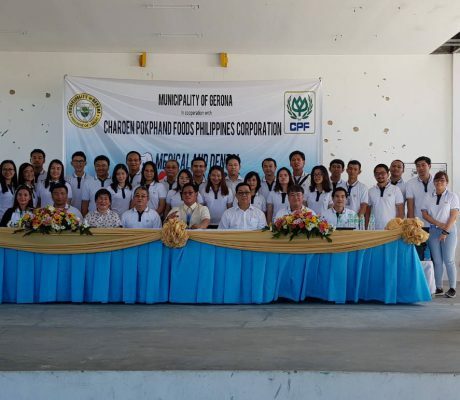 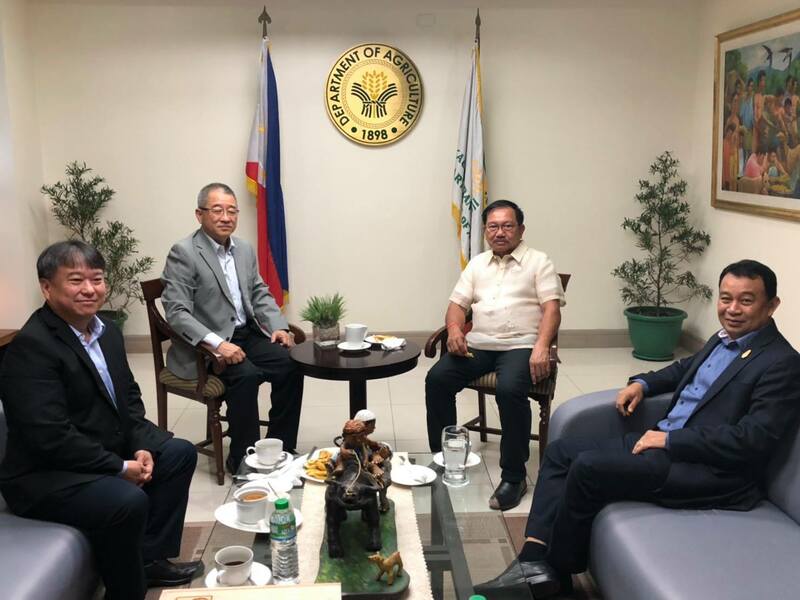 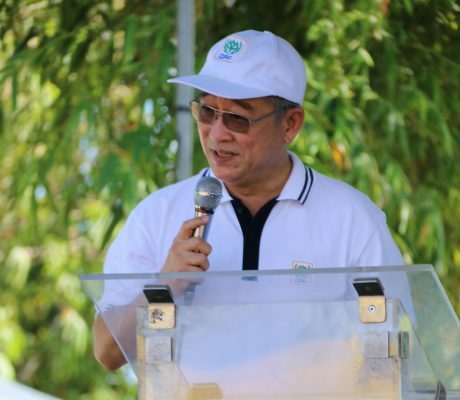 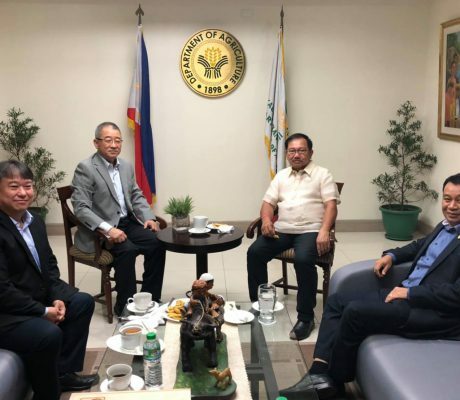 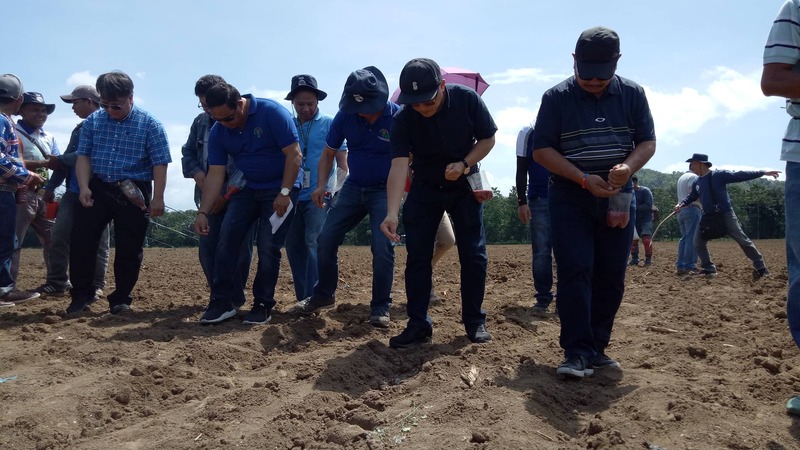 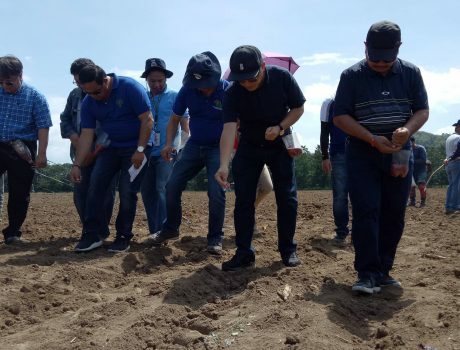 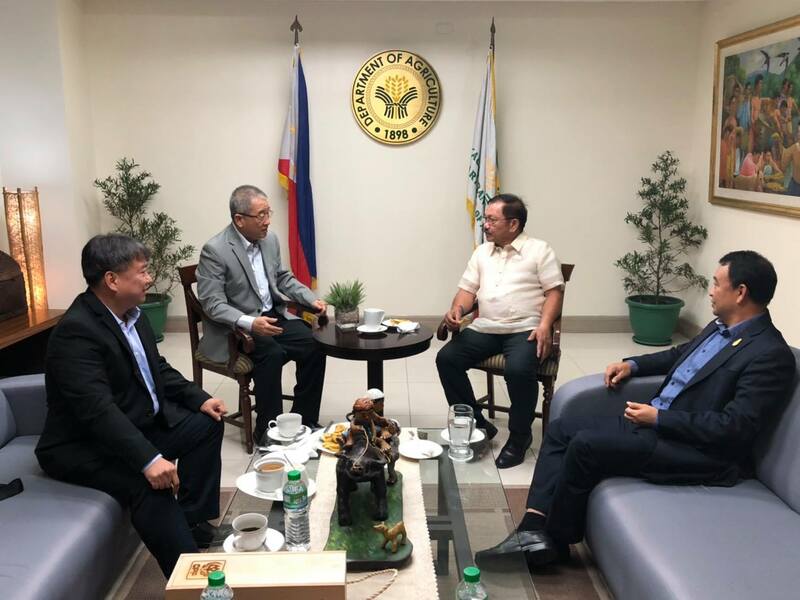 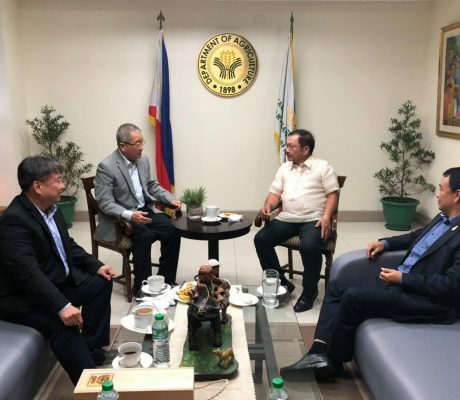 The CPF executives have updated the Agriculture secretary on the company’s operation in the Philippines as well as discussing the cooperation between the company and the Philippines’ government to purchase raw material crops to expand the capacity of animal feeds production. 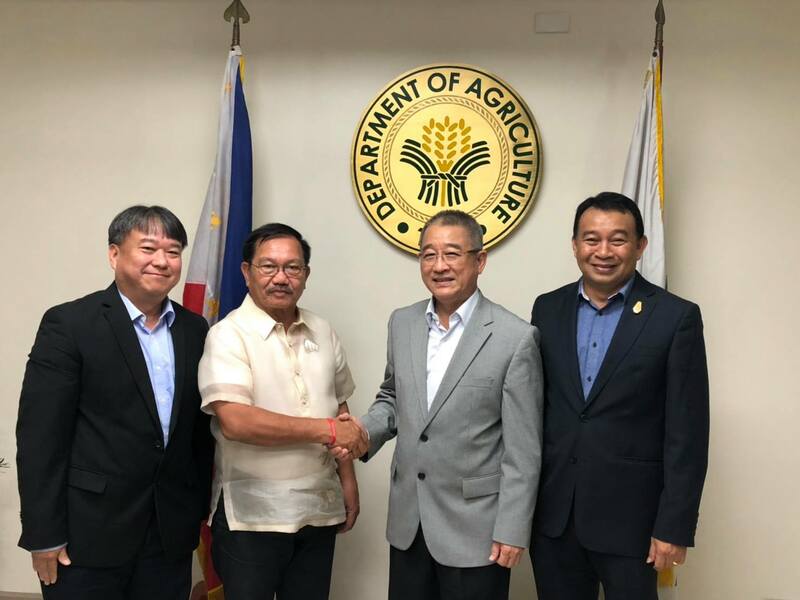 The joint project will help develop competitiveness of the farmers to meet with growing domestic demand as well as raising their incomes.